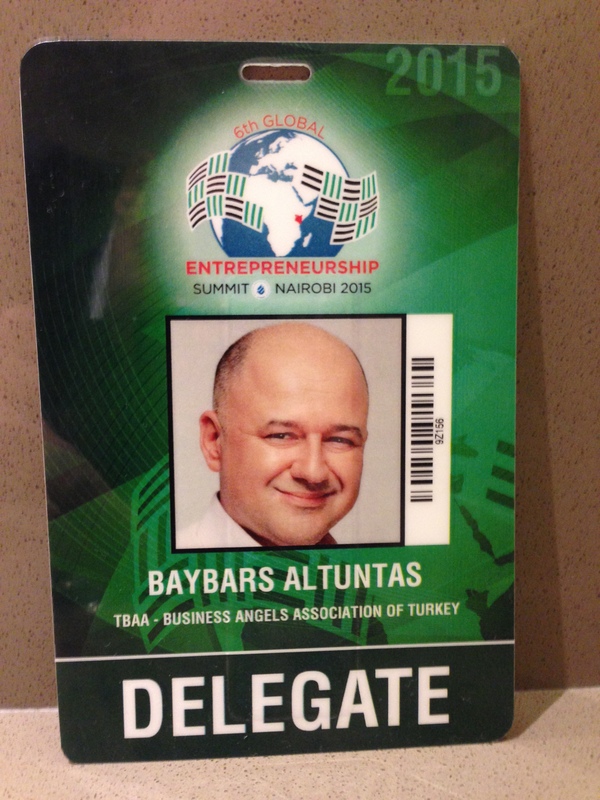 Having been invited by President Obama to make a speech on angel investment at the Global Entrepreneurship Summit (GES), I was in Nairobi on the 25th and 26th of July. 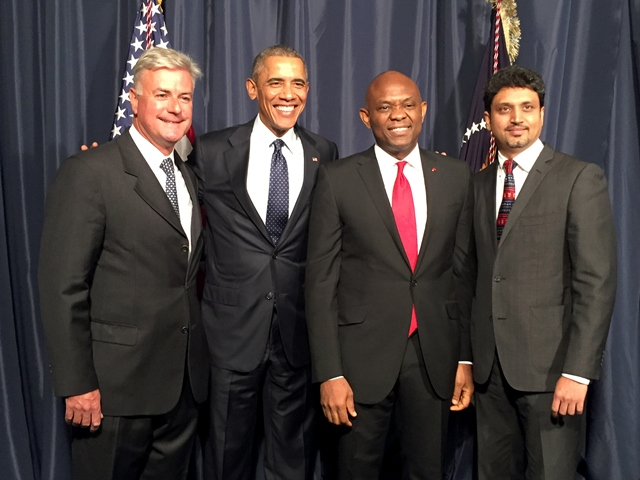 In 2010 I had been one of the invitees of President Obama to the very first GES in Washington DC and was given a personal audience with President Obama before the summit opened. 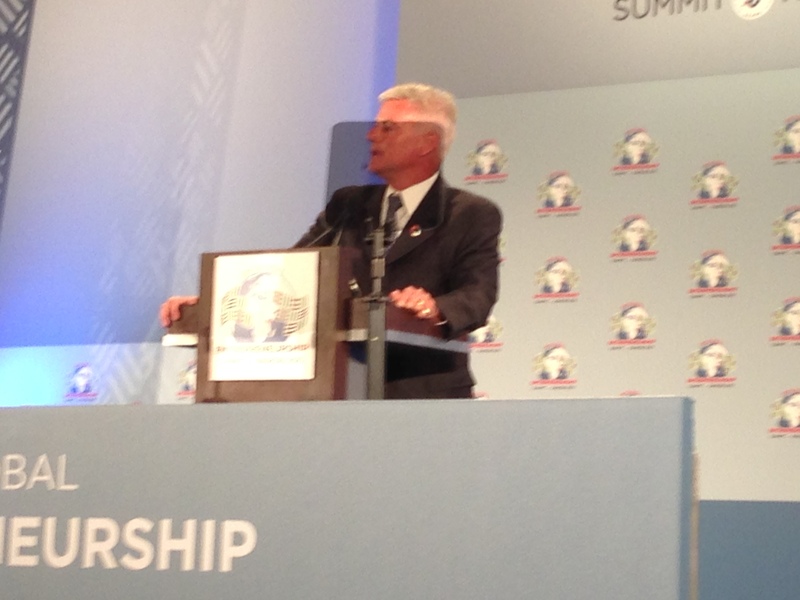 The original name of this summit was the Presidential Summit on Entrepreneurship. In my meeting with the President that year, I proposed turning that one-off meeting into a regular event that would be held every year in a different country and I also recommended changing the name to the Global Entrepreneurship Summit. I further suggested that Turkey could be the second country to host the summit and handed him a letter from the Turkish Prime Minister to back up my proposal. 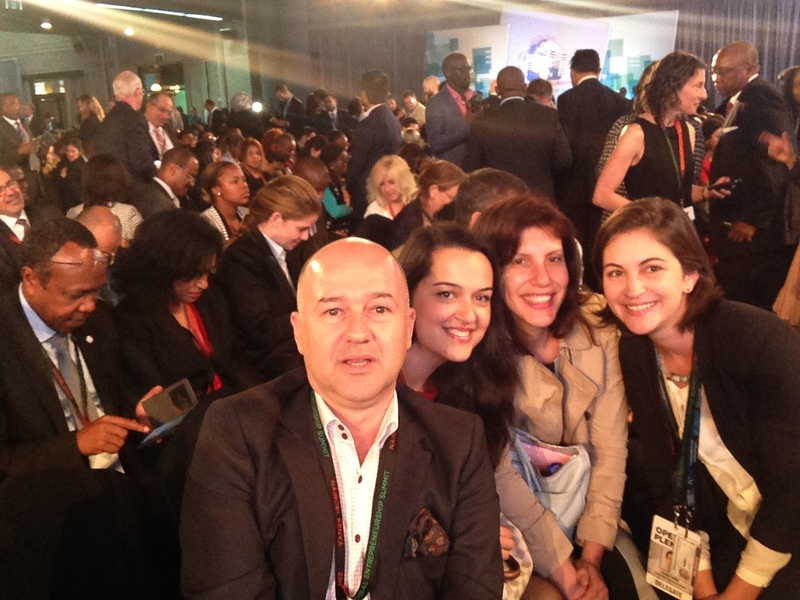 The second summit, now known as the Global Entrepreneurship Summit, was indeed held in Turkey. Joe Biden, the US Vice President, came to Istanbul to deliver a keynote speech. Subsequent summits have been held in the United Arab Emirates (2012), Malaysia (2013) and Morocco (2014). Kenya was the host for the 6th summit (2015) and this was the second one that President Obama participated in personally. 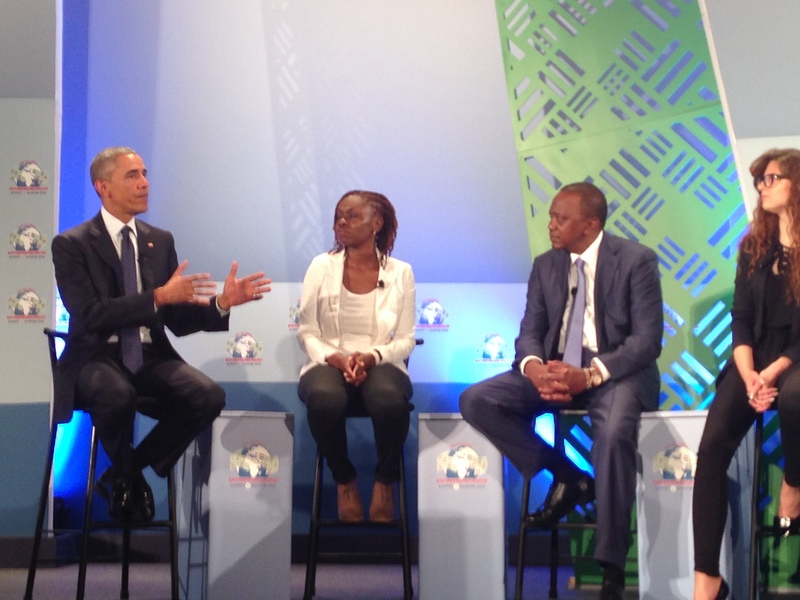 The Kenya summit also gave me an opportunity to convey another letter to the US President. This one outlined the positive outcomes of the last 5 years’ summits and offered some ideas for contributing to the success of this Kenya summit. The text of my letter appears later in this article. Please continue reading! The annual Global Entrepreneurship Summit (GES) brings together entrepreneurs and investors from around the world to showcase innovative projects, exchange new ideas, and help spur economic opportunity. 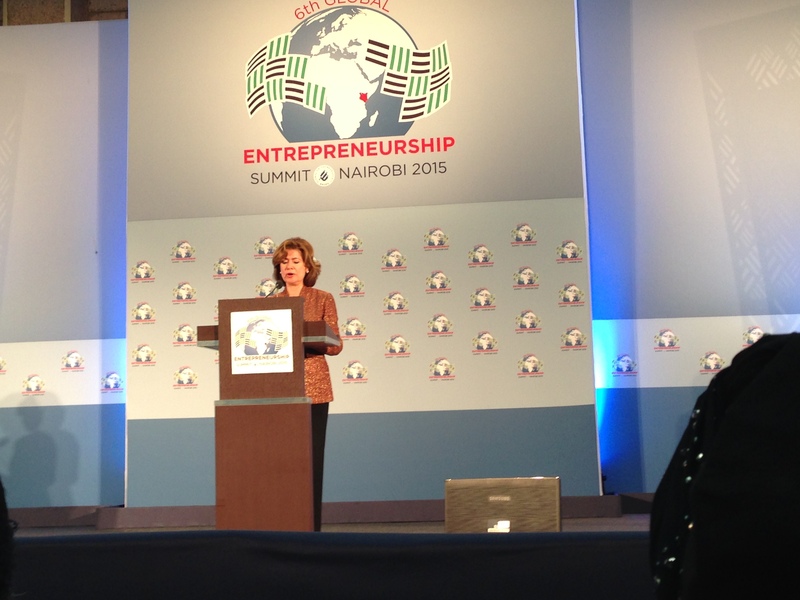 The 2015 GES agenda focused on generating new investments for entrepreneurs, with a particular focus on women and youth. Since 2009, the GES has emerged as a global platform connecting emerging entrepreneurs with leaders from business, international organizations, and governments looking to support them. This was the first time the GES took place in sub-Saharan Africa. Although Kenya is the biggest and most advanced economy in East and Central Africa and has an affluent urban minority, it has a Human Development Index (HDI) of 0.519 and is ranked 145 out of 186 in the world. As of 2005, 17.7% of Kenyans lived on less than $1.25 a day. The important agricultural sector is one of the least developed and most inefficient, employing 75% of the workforce compared to less than 3% in the food-secure developed countries. Kenya is usually classified as a frontier market or occasionally an emerging market, but it is not one of the least developed countries. 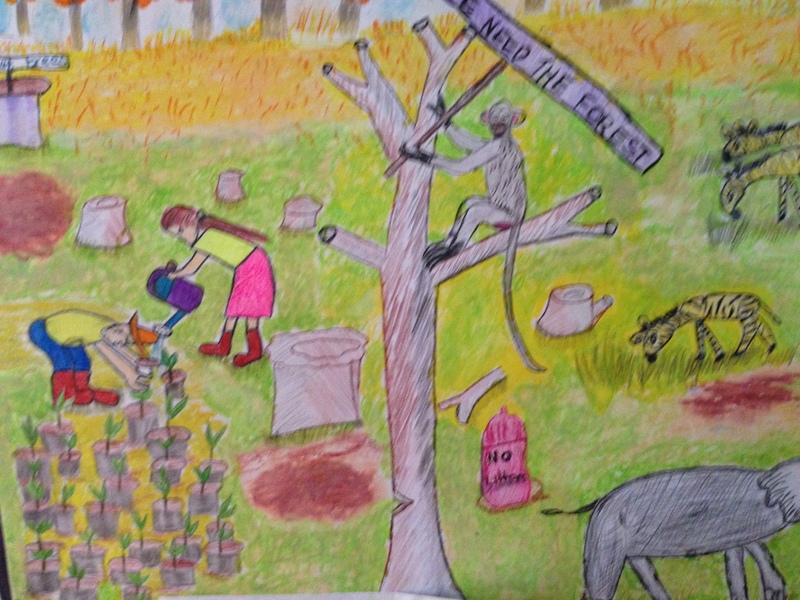 The economy has seen much expansion, with strong performance in tourism, higher education and telecommunications, and reasonable post-drought results in agriculture, especially in the vital tea sector. Kenya’s economy grew by more than 7% in 2007, and its foreign debt was greatly reduced. But this changed immediately after the disputed presidential election of December 2007, following the chaos which had engulfed the country. East and Central Africa’s biggest economy has posted tremendous growth in the service sector, boosted by rapid expansion in telecommunications and financial activity over the last decade, and now contributes 62% of GDP. 22% of the GDP still comes from the unreliable agricultural sector, which employs 75% of the labour force (a consistent characteristic of under-developed economies that have not attained food security – an important catalyst of economic growth). Privatisation of state corporations such as the defunct Kenya Post and Telecommunications Company resulted in East Africa’s most profitable company – Safaricom, which has led to its revival because of massive private investment. As of May 2011, economic prospects are positive with 4–5% GDP growth expected, largely because of expansions in tourism, telecommunications, transport, construction and a recovery in agriculture. The World Bank estimated growth of 4.3% in 2012. In March 1996, the presidents of Kenya, Tanzania, and Uganda re-established the East African Community (EAC). The EAC’s objectives include harmonising tariffs and customs regimes, ensuring free movement of people, and improving regional infrastructures. In March 2004, these three East African countries signed a Customs Union Agreement. Kenya is East and Central Africa’s hub for financial services. The Nairobi Securities Exchange (NSE) is ranked 4th in Africa in terms of market capitalisation. The Kenya banking system is supervised by the Central Bank of Kenya (CBK). Nairobi is the capital and largest city of Kenya. The city and its surrounding area form Nairobi County. 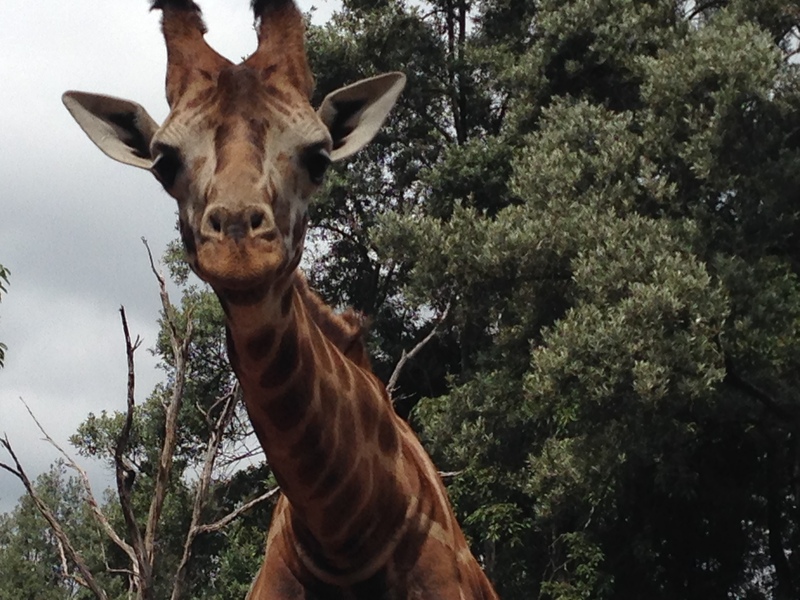 The place name “Nairobi” comes from the Maasai phrase “Enkare Nairobi”, which translates as “cool water”. The phrase is also the Maasai name of the Nairobi River, which lent its name to the city. However, it is popularly known as the “Green City in the Sun” and is surrounded by several expanding villa suburbs. 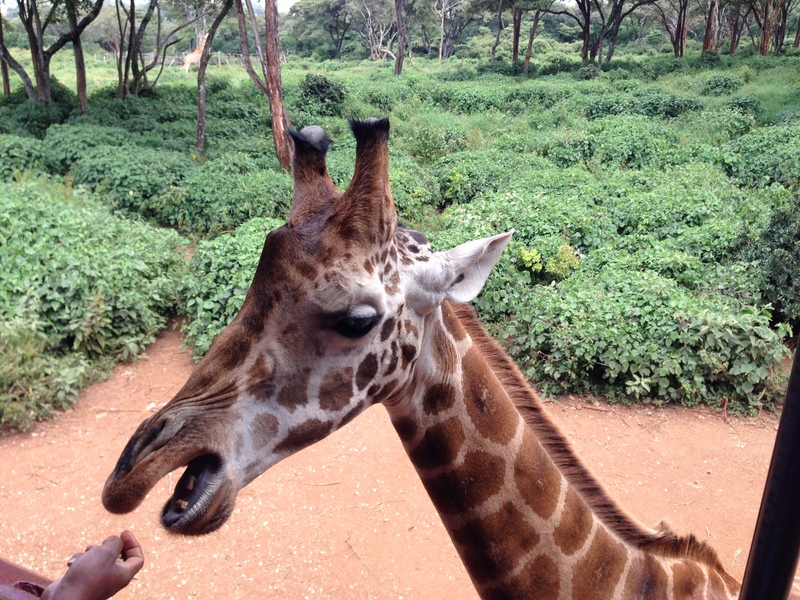 Inhabitants of Nairobi are known as Nairobians, and the city is governed by the County Government of Nairobi. Nairobi is one of the most prominent cities in Africa, both politically and financially. Home to thousands of Kenyan businesses and over 100 major international companies and organisations, including the United Nations Environment Programme (UNEP) and the main coordinating and headquarters for the UN in Africa and Middle East, the United Nations Office at Nairobi (UNON), Nairobi is an established hub for business and culture. The Nairobi Securities Exchange (NSE) is one of the largest in Africa and the second-oldest exchange on the continent. It is Africa’s fourth-largest exchange in terms of trading volume, capable of making 10 million trades a day. The Globalization and World Cities Research Network (GaWC) define Nairobi as a prominent social centre. 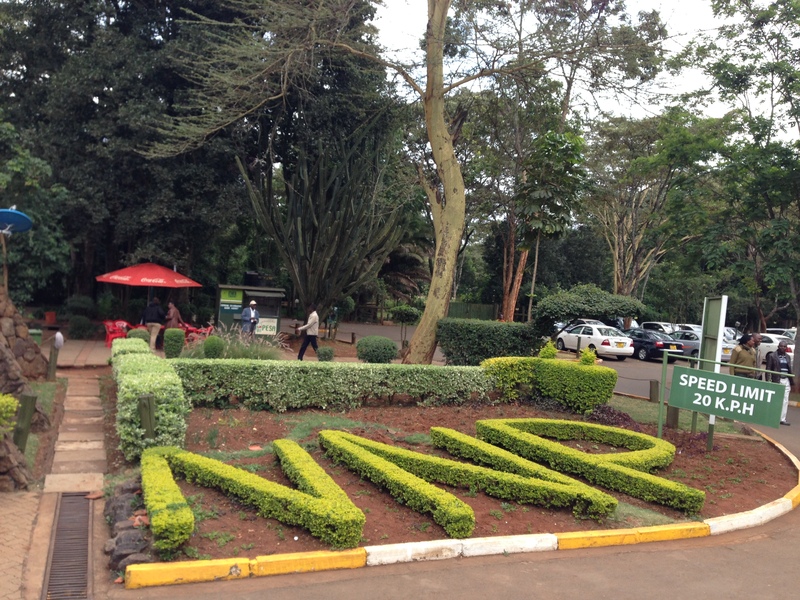 Nairobi is the regional headquarters of several international companies and organisations. In 2007, General Electric, Young & Rubicam, Google, Coca-Cola, IBM Services, Airtel, and Cisco Systems relocated their African headquarters to the city. 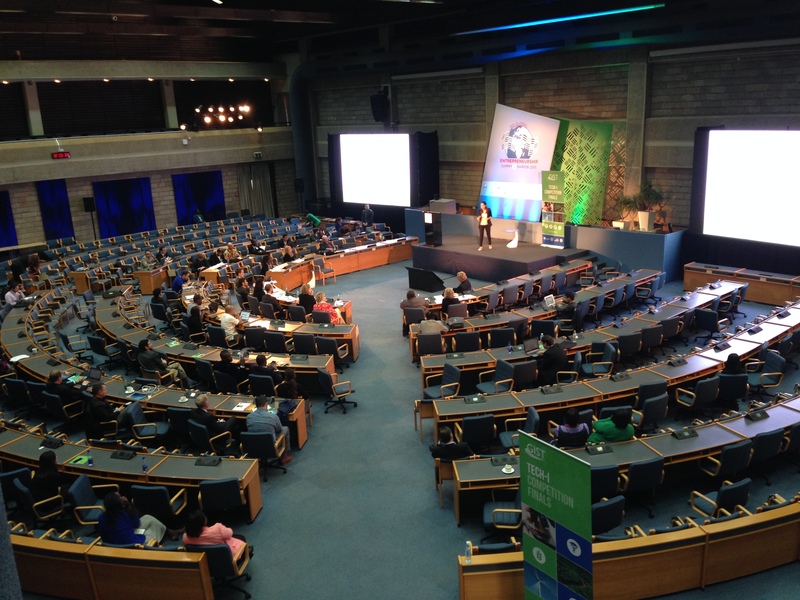 The United Nations Office in Nairobi hosts UNEP and UN-Habitat headquarters. 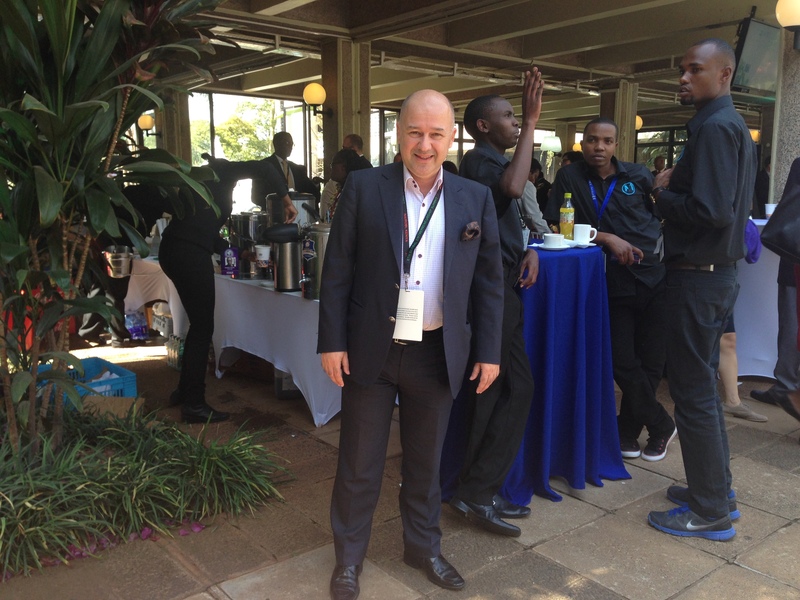 Several of Africa’s largest companies are headquartered in Nairobi. KenGen (Kenya Electricity Generating Company), the largest African stock outside South Africa, is based in the city. Kenya Airways, Africa’s fourth largest airline, uses Nairobi’s Jomo Kenyatta International Airport as a hub. 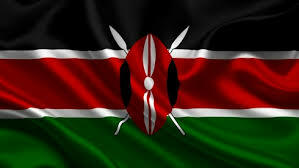 Goods manufactured in Nairobi include clothing, textiles, building materials, processed foods, beverages, and cigarettes. Several foreign companies have factories based in and around the city. These include Goodyear, General Motors, Toyota Motors, and Coca Cola. 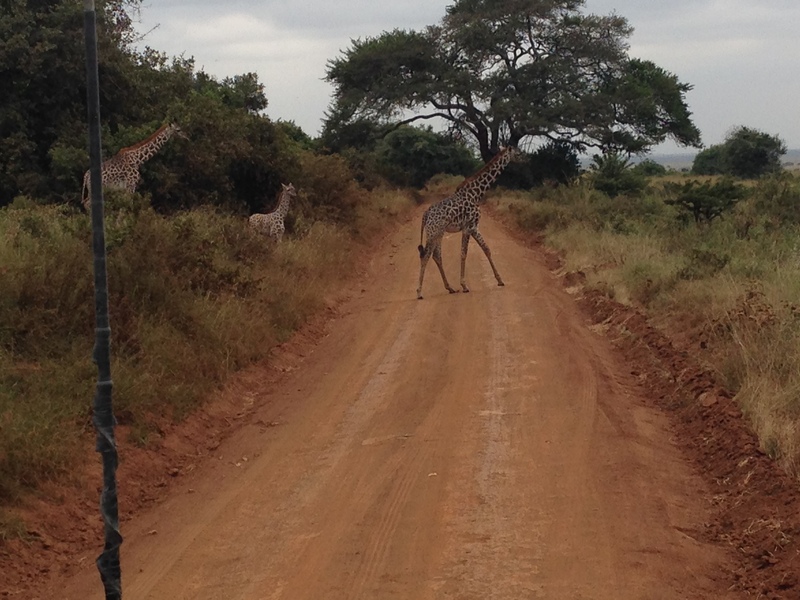 Nairobi has a large tourism industry, being both a tourist destination and a transport hub. Kwani? is Kenya’s first literar- journal and was established by writers living in Nairobi. Nairobi’s publishing houses have produced the works of Kenyan authors, including post-colonial writers Ngũgĩ wa Thiong’o and Meja Mwangi. Many film-makers also practice their craft in Nairobi. Film-making is still relatively new in the country, but people like producer Njeri Karago and director Judy Kibinge are paving the way for others. Perhaps the most famous book and film about Nairobi is Out of Africa, by Karen Blixen, whose pseudonym was Isak Dinesen, and it is her account of living in Kenya. Karen Blixen lived in the Nairobi area from 1917 to 1931. The neighbourhood where she lived, Karen, is named after her. In 1985, Out of Africa was made into a film, directed by Sydney Pollack. It won 28 awards, including 7 Academy Awards. 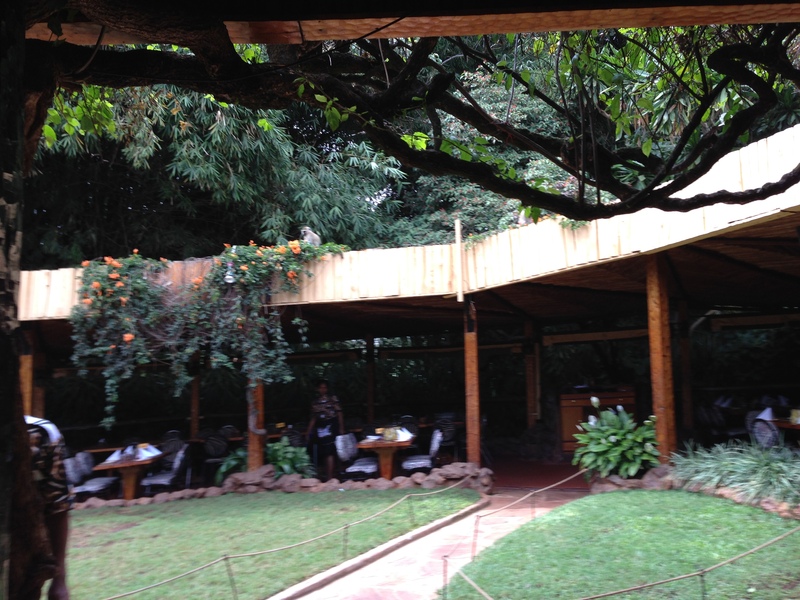 The popularity of the film prompted the opening of Nairobi’s Karen Blixen Museum. Nairobi is also the setting of many of the novels of Ngũgĩ wa Thiong’o, Kenya’s foremost writer. Nairobi has been the set of several other American and British films. The most recent of these was The Constant Gardener (2005), much of which was filmed in the city. The story revolves around a British diplomat in Nairobi whose wife is murdered in northern Kenya. Much of the filming was done in the Kibera slum. 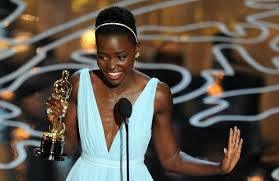 Most new Hollywood films nowadays are screened at Nairobi’s cinemas. Until the early 1990s there were only a few cinemas and the repertoire was limited. Today there are also two drive-in cinemas in Nairobi. Obama was born on August 4, 1961 at Kapiʻolani Maternity & Gynecological Hospital (now Kapiʻolani Medical Center for Women and Children) in Honolulu, Hawaii and would become the first US President to have been born in Hawaii. His mother, Stanley Ann Dunham, born in Wichita, Kansas, was of mostly English ancestry. His father, Barack Obama, Sr., was a Luo from Nyang’oma Kogelo, Kenya. Obama’s parents met in 1960 in a Russian language class at the University of Hawaii at Mānoa, where his father was a foreign student on scholarship. The couple married in Wailuku on Maui on February 2, 1961 and separated when, in late August 1961, Obama’s mother moved with their newborn son to attend the University of Washington in Seattle for one year. In the meantime, Obama, Sr. completed his undergraduate economics degree in Hawaii in June 1962 and then left to attend graduate school on a scholarship at Harvard University. Obama’s parents divorced in March 1964. Obama, Sr. returned to Kenya in 1964 and remarried; he visited Barack in Hawaii only once, in 1971. He died in an automobile accident in 1982, when his son was 21 years old. In his “A New Beginning” speech on June 4, 2009,at Egypt’s Cairo University, US President Barack Obama announced that he would host a Summit on Entrepreneurship to identify ways to deepen ties between business leaders, foundations and social entrepreneurs in the US and Muslim communities around the world. The first Presidential Summit on Entrepreneurship, held in Washington, DC on Monday April 26, and Tuesday, April 27, 2010 at the Ronald Reagan Building, followed through on President Obama’s commitment. At the second summit in Istanbul, Turkey, Vice President Joe Biden announced that the Presidential Summit would become the marquee event that kicks off Global Entrepreneurship Week each year, with the 2012 host being the United Arab Emirates. Since 2009, the GES has emerged as a global platform connecting emerging entrepreneurs with leaders from business, international organizations, and governments looking to support them. 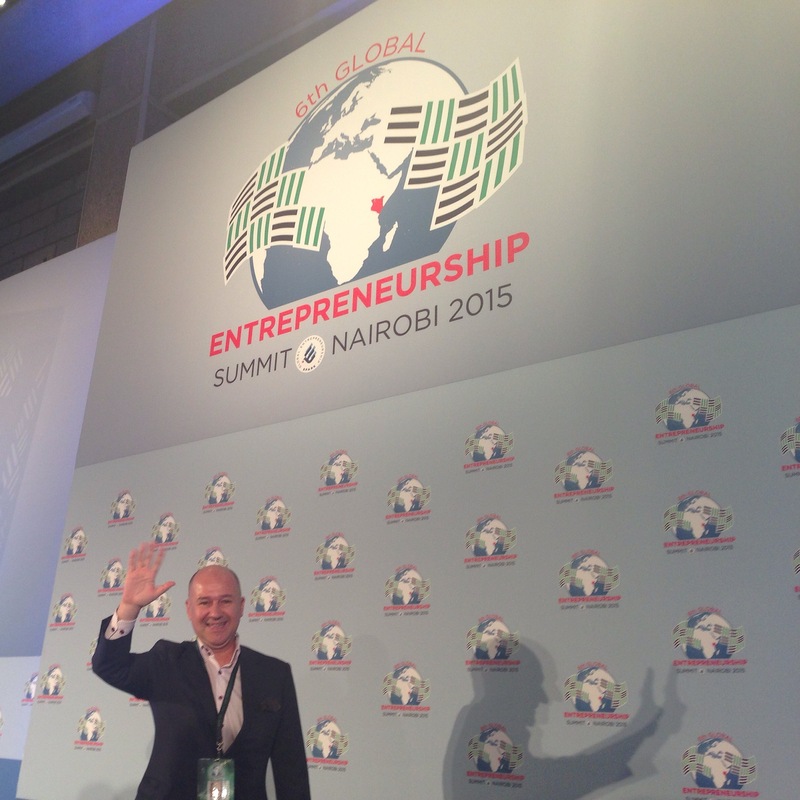 This was the first time GES took place in sub-Saharan Africa. Bringing together the US government’s most exceptional entrepreneurship programs, the United States will spark $1 billion in new private investments over the next three years for entrepreneurs worldwide, including social entrepreneurs. Half of these investments will be generated by women and young entrepreneurs. In addition, the United States is issuing a call to action to other organizations, companies, and countries to build on this goal. The Ewing Marion Kauffman Foundation has already pledged its support to this effort, announcing that the new Global Entrepreneurship Network (GEN) would generate additional investments for entrepreneurs. Through the Middle East and North Africa Investment Initiative, the US government launched new partnerships with the Shell Foundation in Iraq to provide financial and practical support to small and medium-sized businesses run by entrepreneurs. In Lebanon, through a new partnership with Berytech, the US government will provide early capital and advice for entrepreneurs, as well as mentoring, business networks, and other support as they grow and create even more jobs and economic activity. As announced by the US Vice President, the United States and Volvo are partnering to establish a training academy for entrepreneurs in Morocco. The academy will train 150 students each year from Morocco, Ivory Coast, and Senegal, focusing on maintenance of industrial and commercial equipment. Training will also include technology and general business skills to prepare graduates to enter the modern workforce – either employed by local or multinational companies like Volvo, or as entrepreneurs running their own businesses. To deepen engagement and networking among entrepreneurs, GIST has partnered with nine investment, entrepreneurial, education, and corporate organizations to create GIST Net (www.gistnetwork.org). The U. S. Department of State’s Global Innovation through Science and Technology (GIST) initiative empowers young innovators through networking, skills building, mentoring, and access to financing to develop startup solutions that address economic and development challenges. Since 2011, GIST has engaged with science and technology innovators and entrepreneurs in 86 emerging economies around the world, providing training and resources to help them build successful startups. This is done through competitions, startup boot camps, and interactive online programs, implemented by UT Austin’s IC2 Institute and AAAS. This global, user-driven online platform will connect science and technology entrepreneurs in emerging economies and provide them with the ongoing resources and mentorship they need to collaborate, seek funding, and grow their businesses. 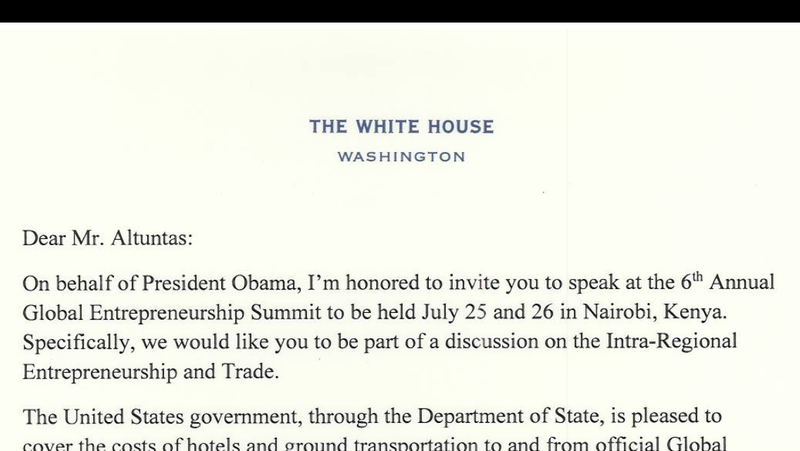 On the 13th of June, I received the invitation letter from the White House on behalf of US President Obama to give a speech in Nairobi on Intra-Regional Entrepreneurship and Trade on the 25th of July. 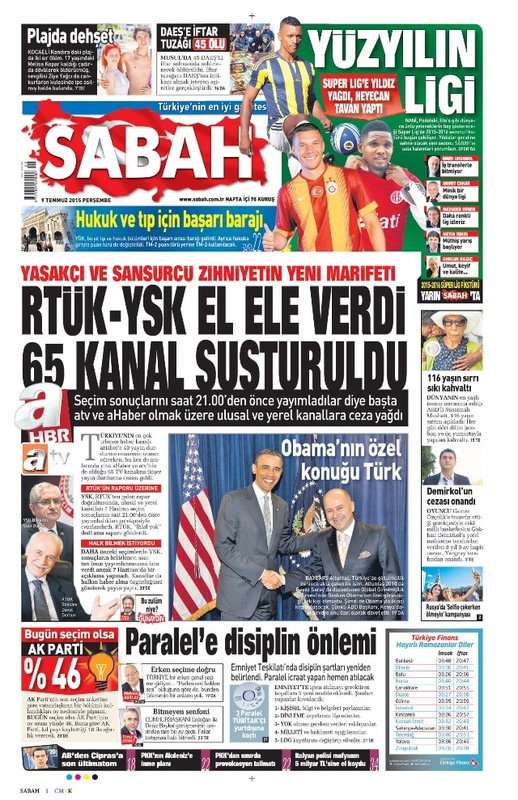 After receiving this invitation – the second one from the US President – the Turkish media covered this news and Hurriyet, Sabah, and the Daily Dunya all featured this invitation on their front page. 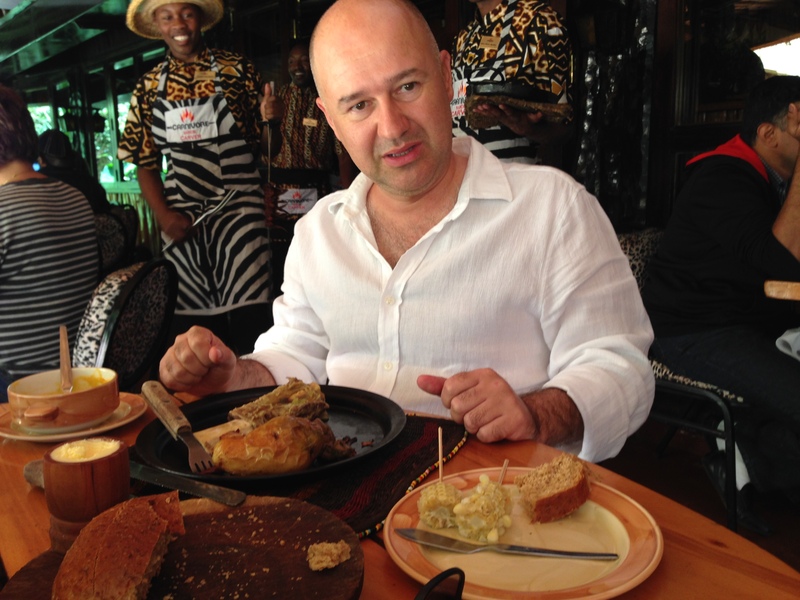 Because I had never been to Kenya, the first thing I did was to check the visa procedures and health regulations. Because I had had a problem in Lagos, Nigeria when I didn’t have a Yellow Certificate showing I had been vaccinated against for yellow fever, I wanted to learn if I needed the same for Kenya. There are 4 important things you should take care of before arriving at the Nairobi Airport: Visa – Yellow Certificate – Safari booking – Hotel Booking. About visas: There is an excellent online visa procedure. A visa costs 70 USD, which you can pay by credit card. You are advised to print out the online-issued visa to show the passport control officer. I recommend you get your visa online so as not to have to waste time at the Nairobi Airport to complete visa documents. Yellow Certificate: 10 days before your arrival date, you are advised to have a yellow fever vaccination. Is it a must? 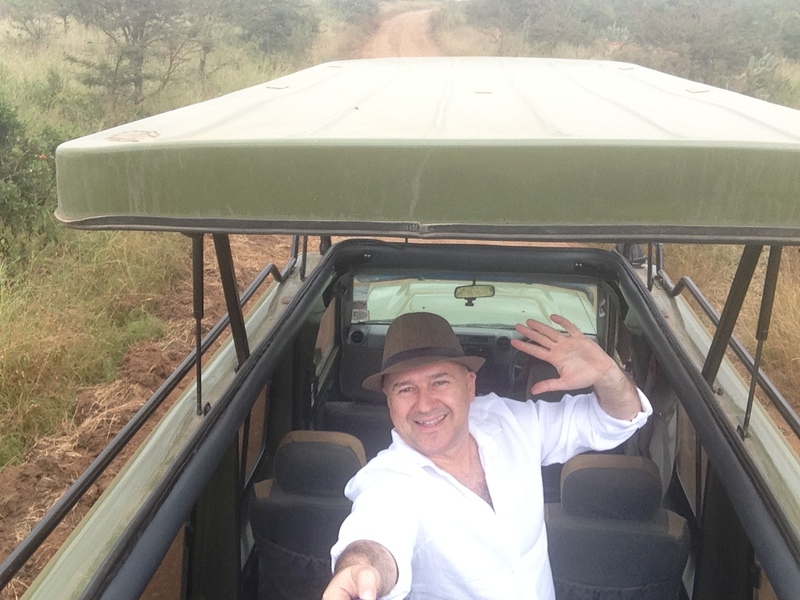 I think you don’t have to do it if you are travelling only to Nairobi, but if you are going to take a safari, it is probably a good idea. By law, the Yellow Certificate (issued by the health authorities when you get vaccinated) is a MUST if you are arriving from a country where yellow fever is present. It is valid for 10 years and you don’t need to worry when you travel to other countries in Africa. 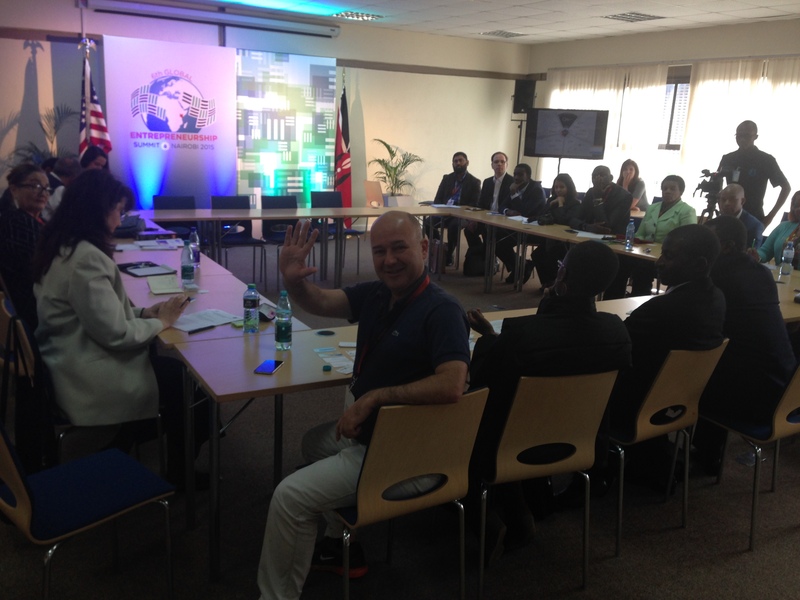 About the hotel: All participants of the summit were hosted by the White House for 4 nights in Nairobi. 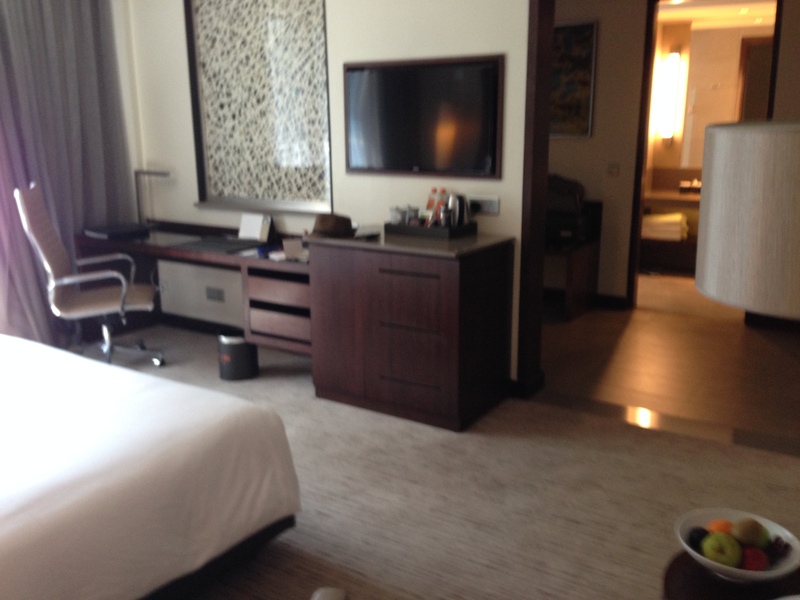 I was accommodated at the DusitD2 Nairobi. The hotel was just 8 months old and everything was perfect. 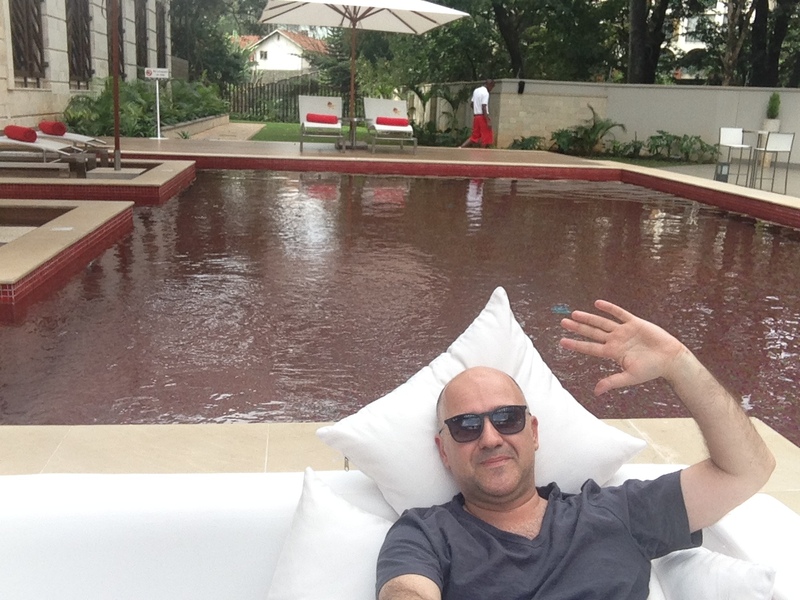 If I go to Nairobi again, I will definitely stay at the same hotel. 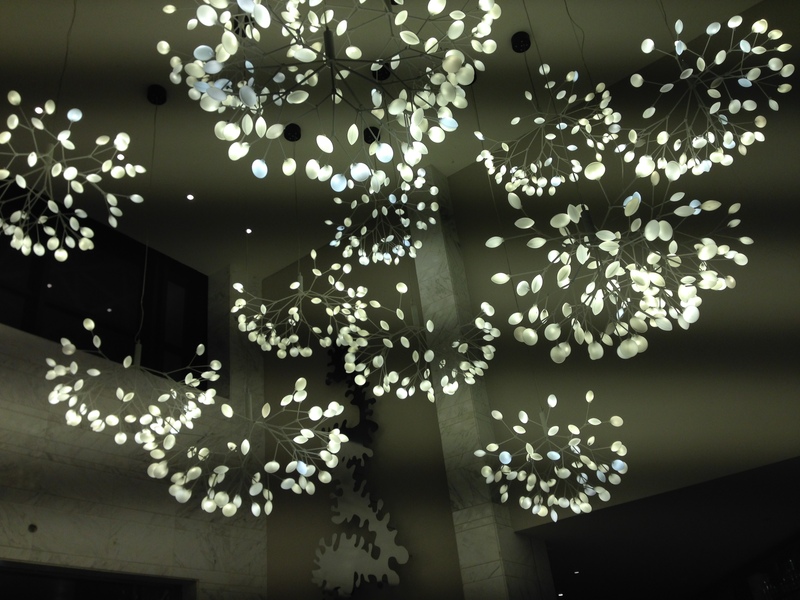 It is a 5-star hotel chain with excellent personnel. For room rates, you should visit their website but just to give you an idea, a room for 2 people is approximately 250 USD – a very reasonable rate for such a hotel. It is 30 minutes from the airport. Transfers: This is very important. 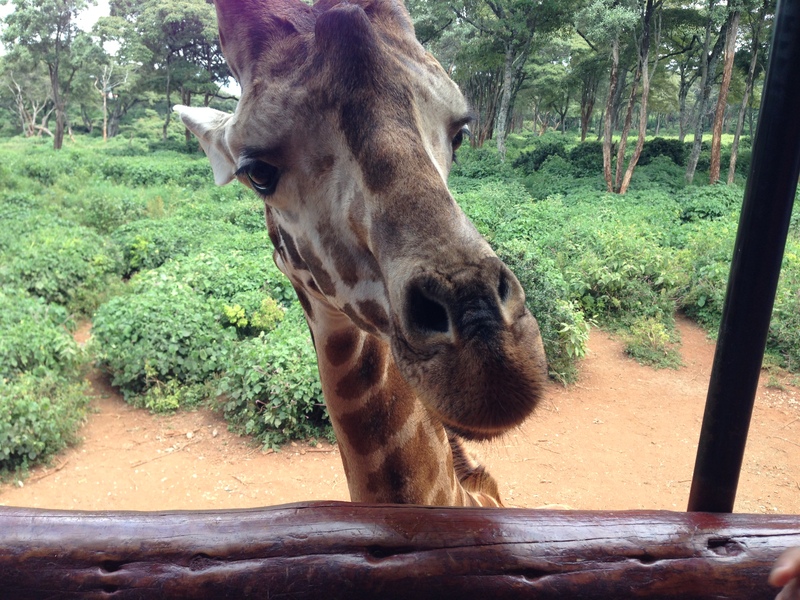 While you are leaving Nairobi, please leave the hotel for the airport 6 hours before your scheduled departure time. You will understand what I mean when you see the traffic – even at 6 in the morning. After we landed, it took just 10 minutes to get through the passport control. 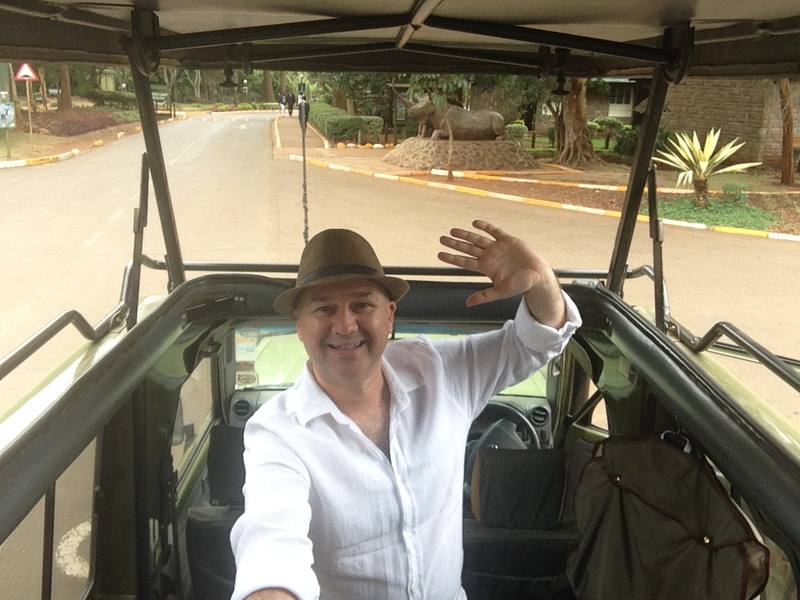 There I was met by the Safari tour guide. I had made the booking the day before and asked them to come to the airport to take me to the national park so as not to lose time. 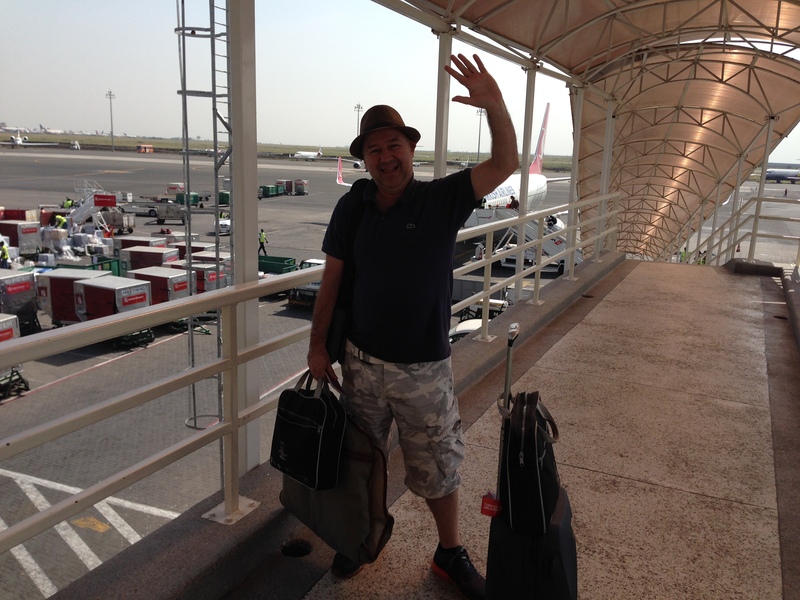 Before landing, I changed my clothes and instantly became a safari-man with my shirt, short trousers, etc. 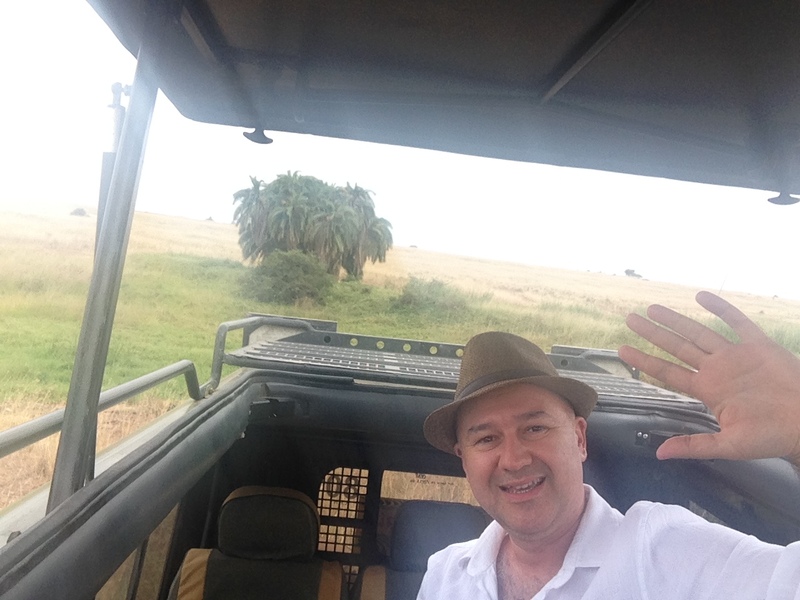 I was in the middle of the African desert just half an hour later. 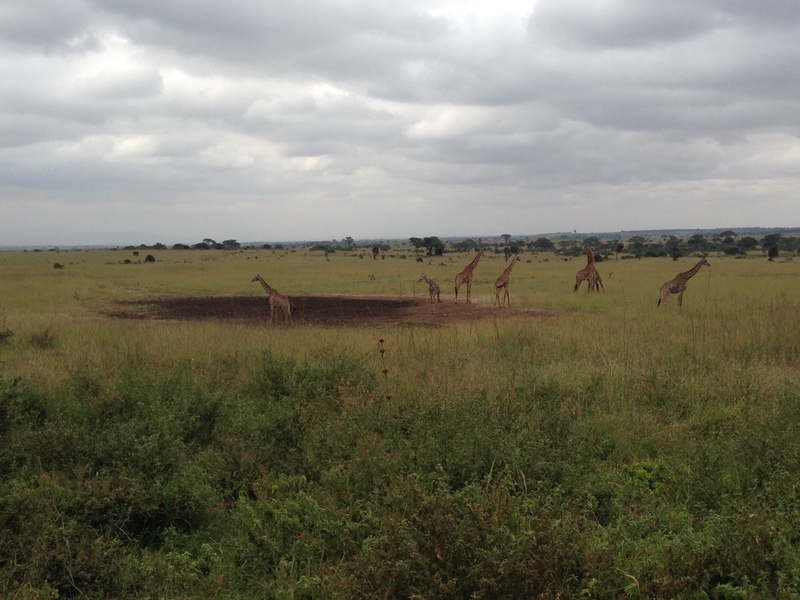 Now was the time to see lions, giraffes, gazelles, water buffalo, and all different kinds of birds. 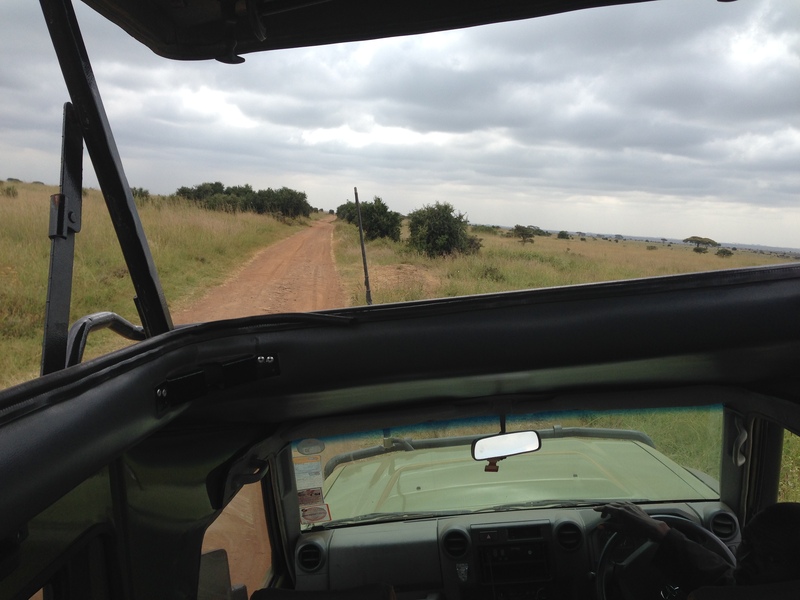 There were some really lovely moments trying to catch a glimpse of the lions. 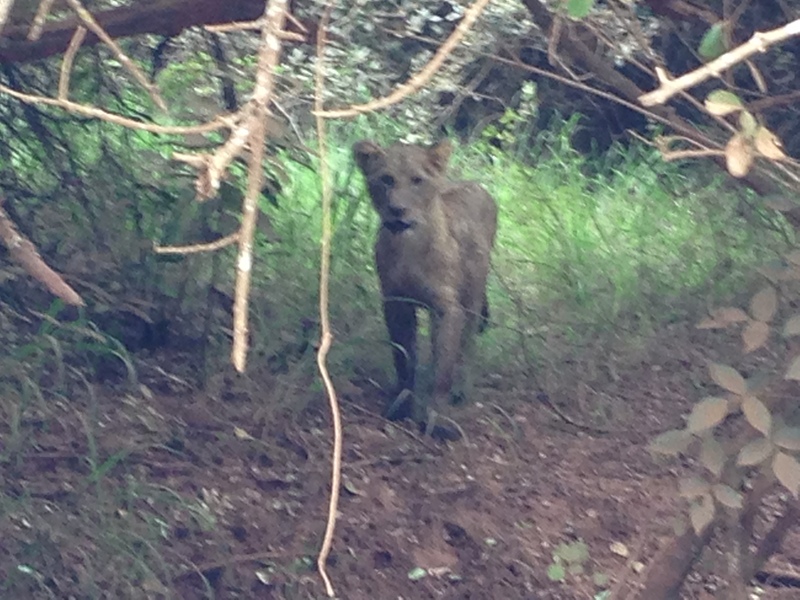 There is no guarantee you will see lions, but fortunately we did! 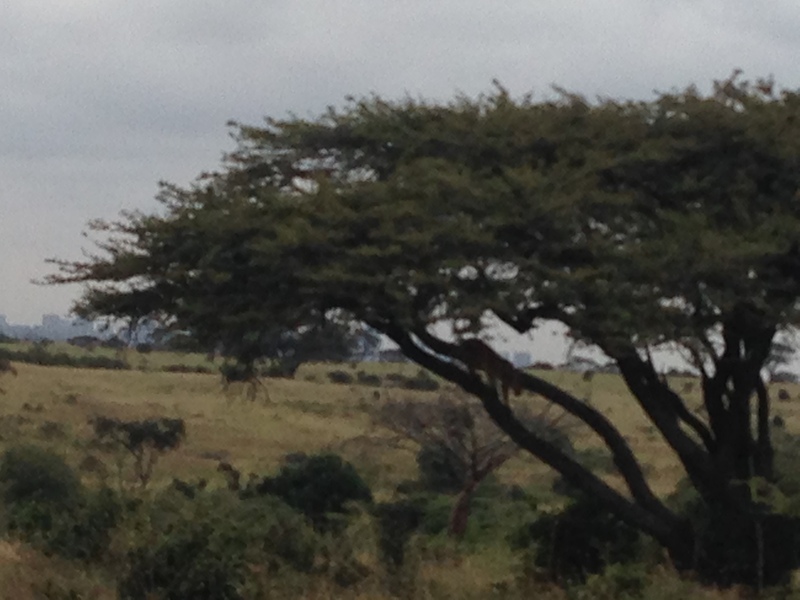 We saw 5 lions, including one in a tree and a cub in the road. Here you can enjoy other visitors’ experiences about this particular park. As a matter of fact, our tour would normally have ended at 3pm, but because Obama was scheduled to land around 6pm that day, all roads had to be closed by 2pm. So we left the restaurant around 1.30pm and returned to the hotel. 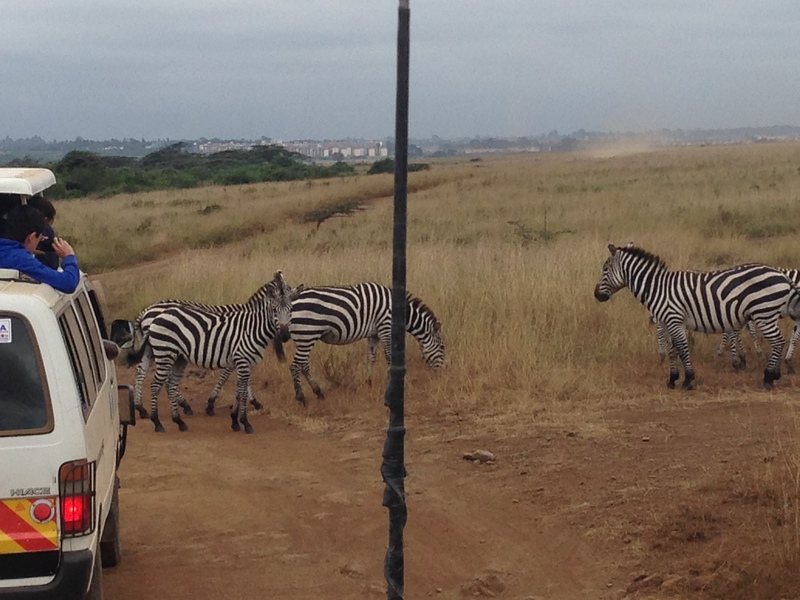 When I arrived at the hotel, I understood that the Safari travel agent was also in this hotel complex. After completing the check-in procedure, I was in my suite by 2.30pm and immediately went up to the executive floor to receive my delegation pack. 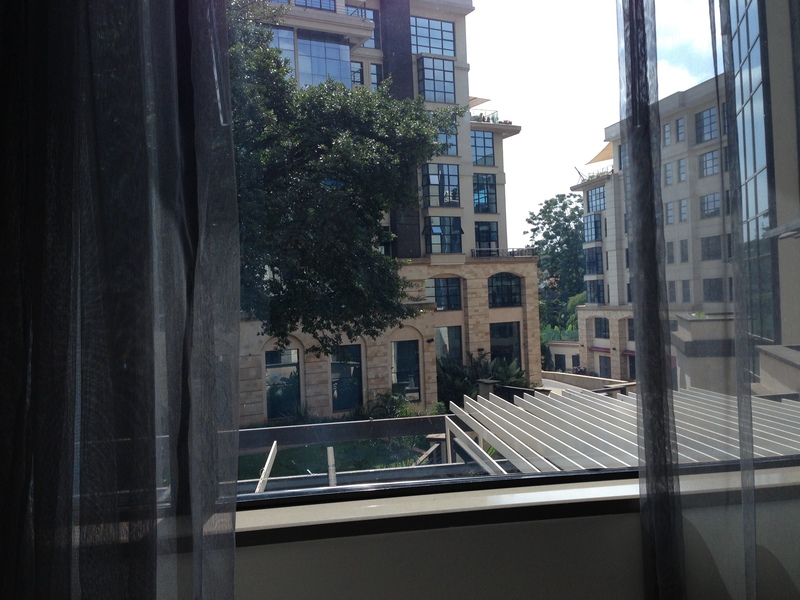 But since nobody was scheduled to be there until 3.30pm, I spent a bit of time discovering the hotel complex. In the process, I found a spa center. 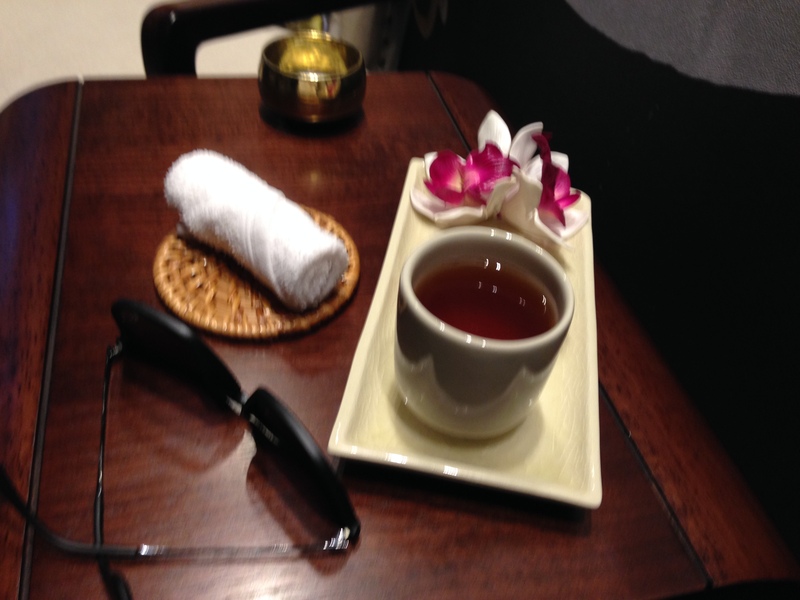 Because I had never had a Thai massage and there was a real Thai masseur there, I made a booking for 5pm. My comments about this massage: You can lose 2 kilos by the end of the first hour. It was a very hard massage. It is not a game. It is not, as a matter of fact, a massage. It is doing sports with a coach. 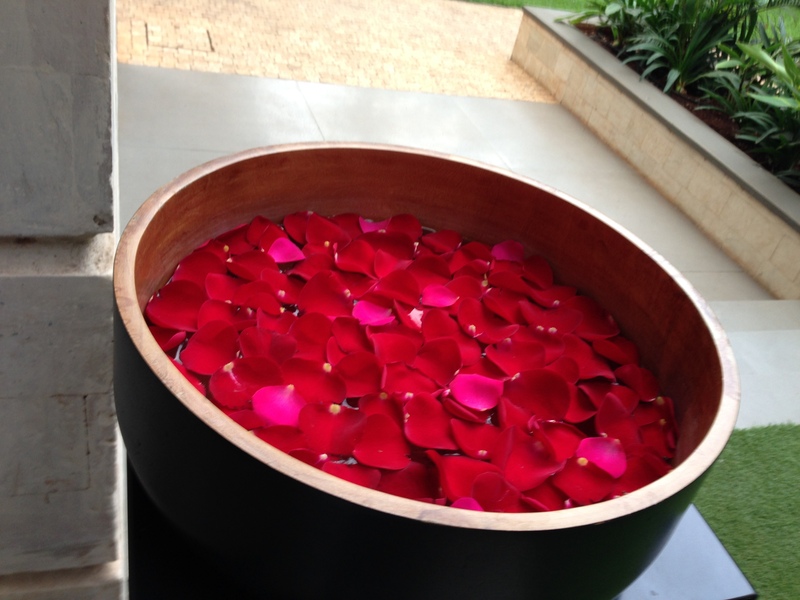 However, I really felt a difference after the massage. By the way, it cost just 70 USD – a very reasonable amount for such a massage. After the massage, I ran up to my room to change clothes because at 6.30pm a bus would depart for the Welcome Dinner of the Kenyan President for GES participants. Security was very high and without the badge I had been given, it would have been impossible to move from one place to another. 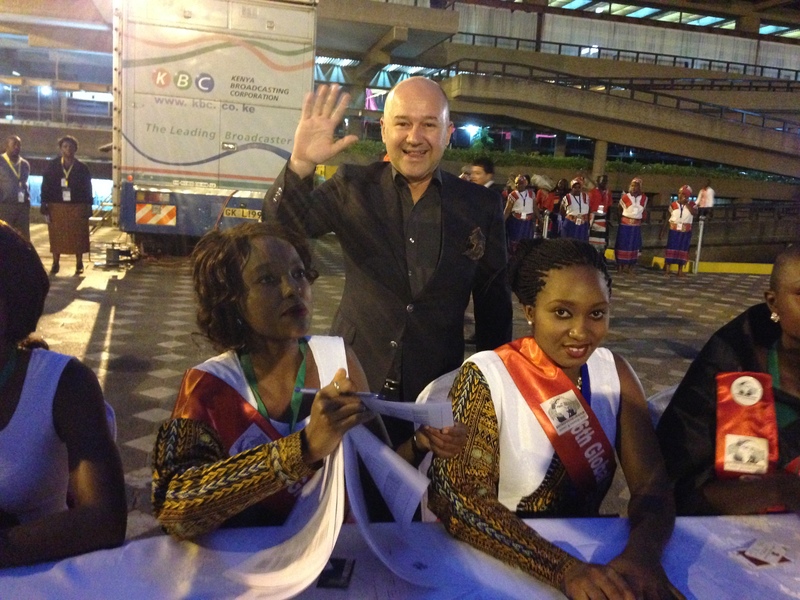 Because there was no traffic because so many roads were close, it was very easy to reach the dinner venue, where 1200 delegates were welcomed by Kenyan officials. It was a nice dinner where I met with many friends from EBAN, GBAN, ABAN…. Paulo, Ana, Ben, Rasmus, Jonathan and many others were all there. I received a phone call and had to leave the dinner around 8pm. By 11pm, I was at the hotel and I immediately went to bed because I had to get up 5.30am the next morning: the bus to the summit venue, the United Nations complex, was to depart at 7. 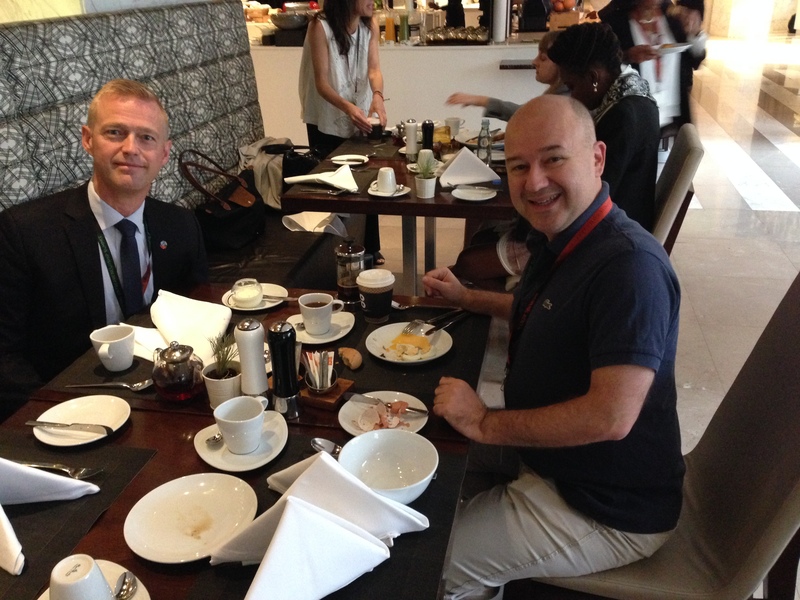 However, President Obama was waiting for us and I had to be ready by 7am at the lobby. 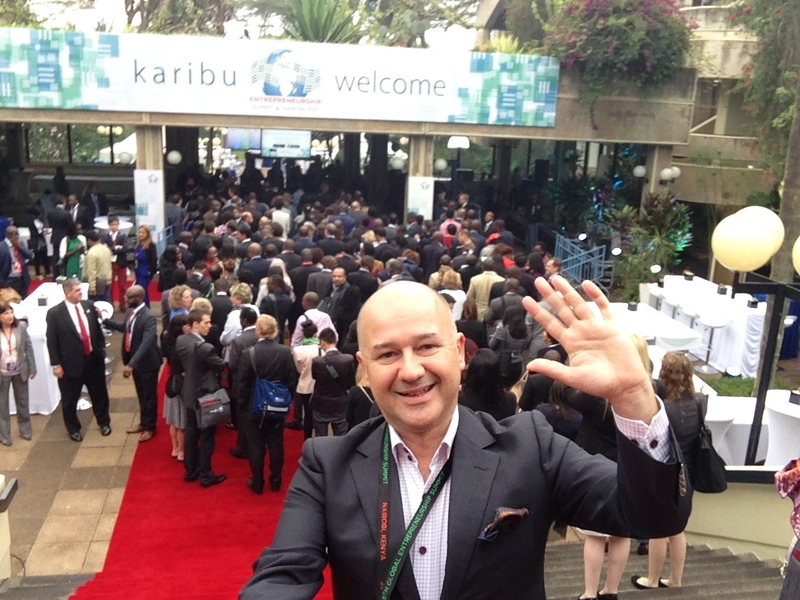 Half of the 1200 participants were coming from outside Kenya, so I think around 500 delegates were placed in 10 different hotels in Nairobi, and approximately 50 mini-busses had to transfer all 1200 delegates to the venue. So there was a queue at the entrance to the venue. It took more than 1 hour to get into the main hall where Obama would give his speech at 10am. African Girl: What is your job? American Guy: I am chef. African Girl: What do you mean by ‘chef’? American Guy: I am a cooker. African Girl: What do you cook? American Guy: I cook everything, vegetables, meat, etc. Security Staff: Dear Sir, Welcome to the summit and it is a great honour for us to host you at this summit. After he left, I asked the security staff. Me: Who is that man? Security Staff: The most celebrated chef of America. So, the guy who was congratulated for his skill in cooking vegetables was the most celebrated chef of the United States. 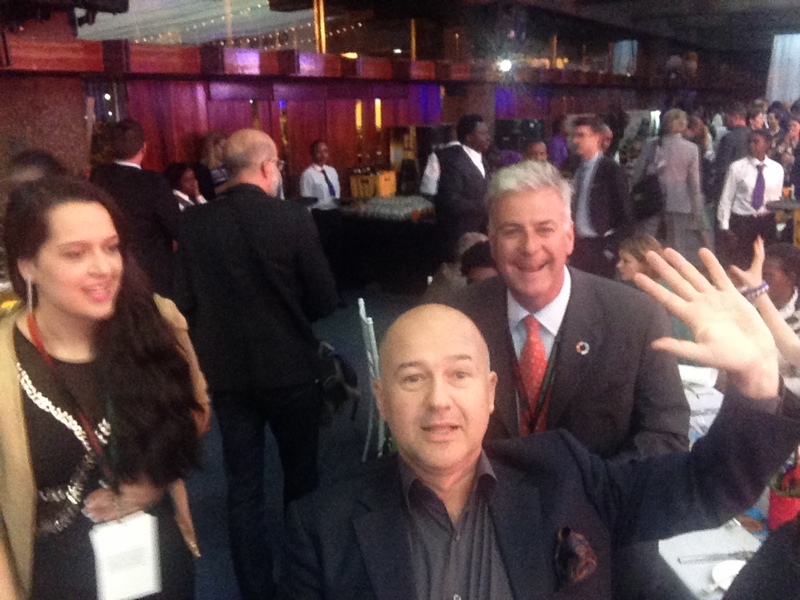 Entering the main hall, I found that Paulo Andrez and Ana Barjasic had saved a place for me in the very first row. 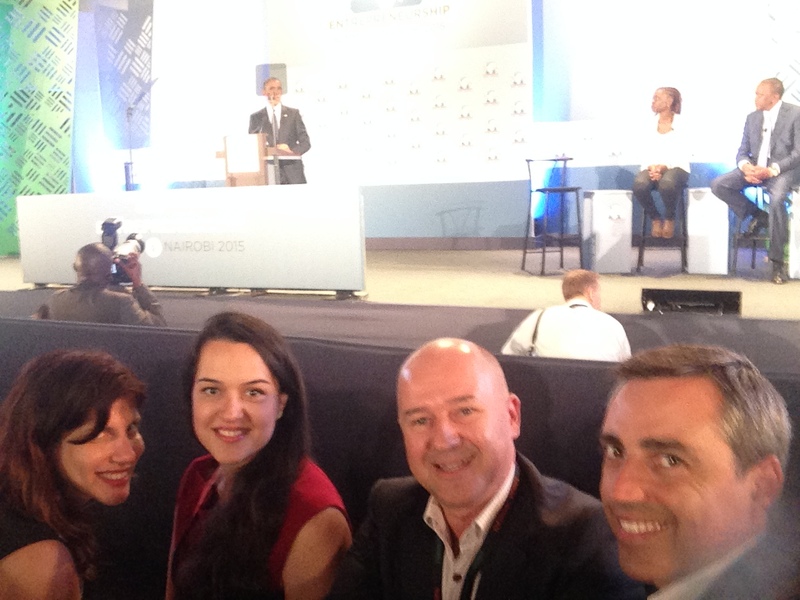 Listening to Obama’s opening speech became particularly enjoyable for me, sitting in the very first row with my selfie-stick. I am sure Obama will remember me all his life because I am probably the only person in all the audiences he addressed in his 8-year term as president who was getting up and sitting down every 2 minutes to take a selfie with a 1-meter stick. 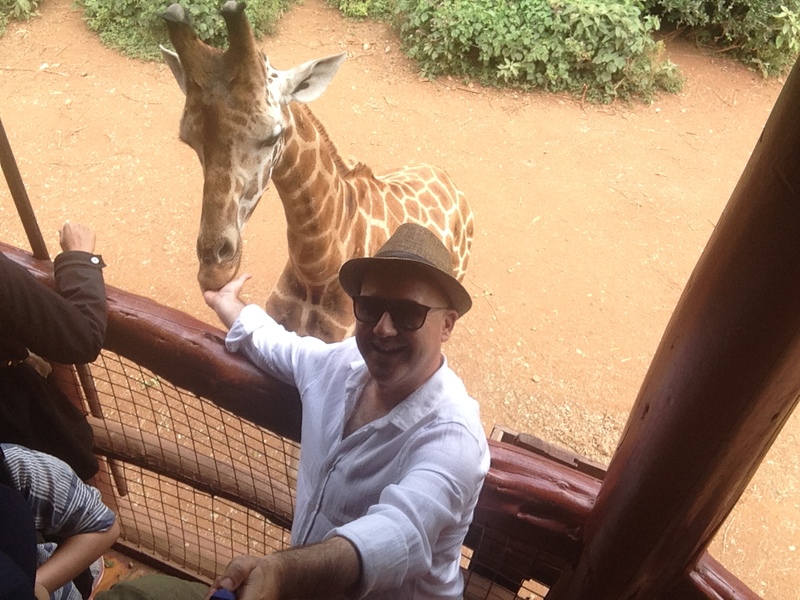 I have to say, however, that the best historical photographs of Africa came into my camera thanks to that selfie-stick, a gift from my daughter Alara for this occasion. Obama came in the room with the Kenyan president. 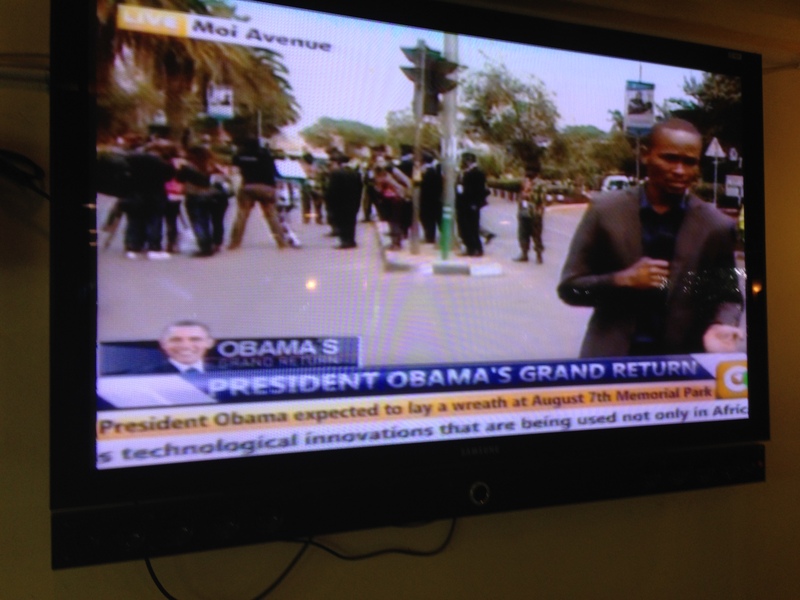 First the President of Kenya made his speech, and then it was Obama’s turn. The organisation of the stage was friendlier than the organisation in Washington in 2010. 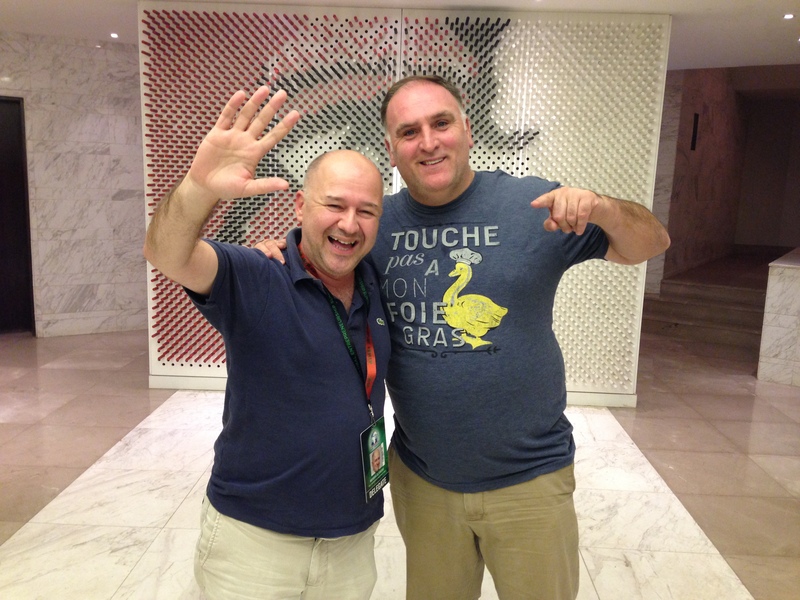 There were fewer entrepreneurs in the first summit in DC; now there are more entrepreneurs. This summit was a more focused event. In this summit, we were all given an application password that helped us to download the GES application on our mobiles and we could easily get updates on the programme and any changes. We also could see the list of speakers, biographies, participants, etc.. It was also a good connector among the participants. In DC, Obama read his speech, but here he spoke extemporaneously. There were 2 entrepreneurs on the stage while Obama was speaking, which gave a certain air of congeniality to the event. The first summit hosted approximately 300 participants. This year’s event hosted 1200 participants. My invitation letter was conveyed to me by the US Embassy in Ankara. This time it came to me directly from the White House. There were 4 other Turkish entrepreneurs with me participating at the first summit (I was invited, the others participated), but this time I was the only Turkish entrepreneur who was invited and participated. Obama listened to the Kenyan President on the stage and this listening time gave him an opportunity to make eye contact with the audience. Obama thanked Turkey after I gave the letter to him in Washington. But this time, he didn’t mention anything about the letter I conveyed to him before his speech. After his speech, 2 entrepreneurs and 2 presidents (the Kenyan president and the US president) had a panel discussion on entrepreneurship. I think this is something that should be done in such events. Including real entrepreneurs in the flow of the programme makes the event more enjoyable and meaningful. The panel discussion finished at 11am. People approached the very first row hoping to shake hands with Obama, but this this didn’t happen because he left the stage without approaching the first row. 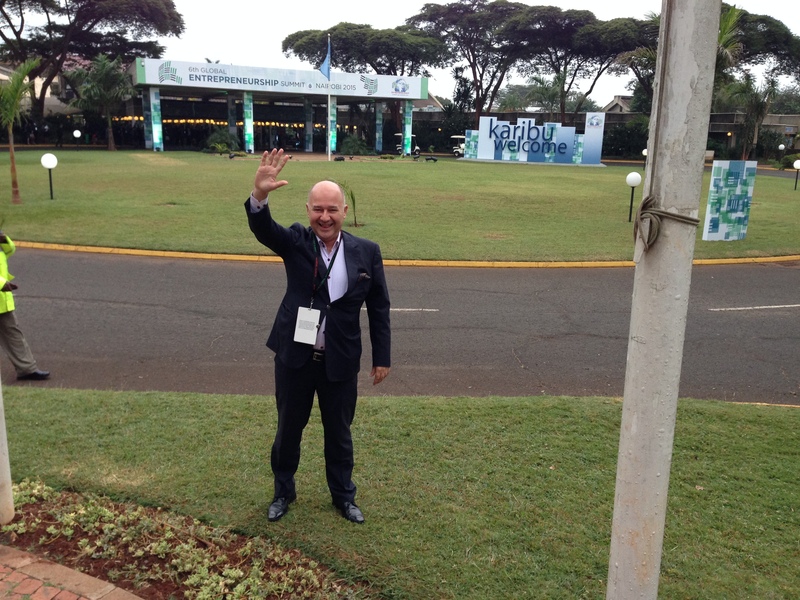 After Obama and the Kenyan President departed, Jonathan Ortmans gave a welcome speech. 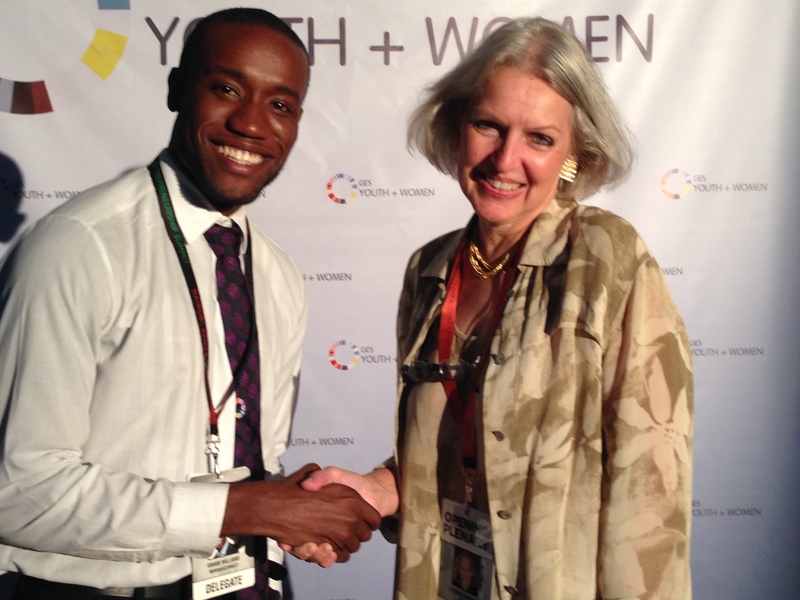 Jonathan Ortmans is the President of the Global Entrepreneurship Network and Co-Chair of Obama’s Spark the Global Entrepreneurship Forum. (He is also, by the way, the author of the foreword to my bestselling book.) Here you can enjoy his video called ‘Learn Entrepreneurship’. Trade within Africa is estimated at a woeful 15%; similar problems plague the Middle East, Asia, and other regions. The barriers to this trade need to be brought down to drive growth and development. This session will explore what these barriers are, what needs to be done to change these dynamics, and more importantly, the experiences of those who have successfully made the jump across borders. There is minimal trade between African countries. Moving personnel and talent across Africa countries is a challenge, as it is not supported by most countries. It is more difficult for an African to work in another African country than for expatriates from other continents. There are immense infrastructural challenges—most of the rail transport system was set up during colonial times for extractive reasons. There is excessive focus on foreign direct investment (FDI) rather than encouraging domestic investment by the locals in African countries. Huge resources are required to maintain or improve Africa’s gross domestic product (GDP). Corruption remains a big problem in Africa. Unreliable policies and neglect, for example, the case of all customs operations in Nigeria closing down at Christmas without prior warning to businesses. Lack of African shipping lines. High-cost of transferring money between countries. Sovereignty is sometimes an impediment to trade. Lack of patenting African innovations — the case of MPESA not being able to benefit from other companies/countries that utilize the innovation. Stereotyping — the case of Nigerians being considered con-people. Visa issuance across African countries is problematic — the case of an American getting a visa at the Kenyan airport, while citizens of African countries have to secure it in advance. 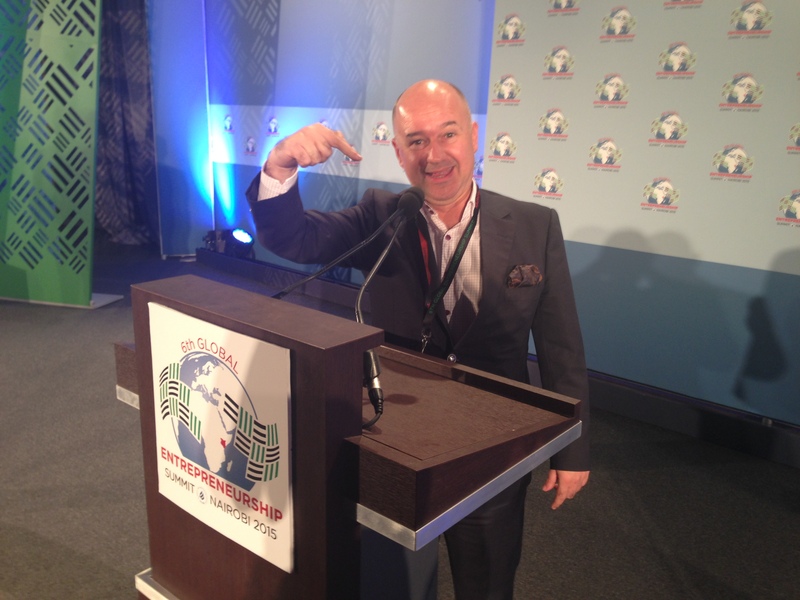 The Global Business Angel Network offers a huge opportunity for start-up businesses. Intra-regional trade creates internal markets. African countries need to make it easy to move goods and services across borders. In 2050, the majority of the world’s young people will be in Africa. African countries need to consider promoting FDI but also look at local and regional investors as an opportunity. Partnerships with all segments of society are required to achieve progress in Africa. Electricity requirements across African borders will continue to grow. Small businesses are the backbone of growth. Banks are averse to start-up businesses. Start-ups need angel investors to demonstrate business opportunities. Mentorship, networking, and hand-holding are big plusses of an angel financing package. 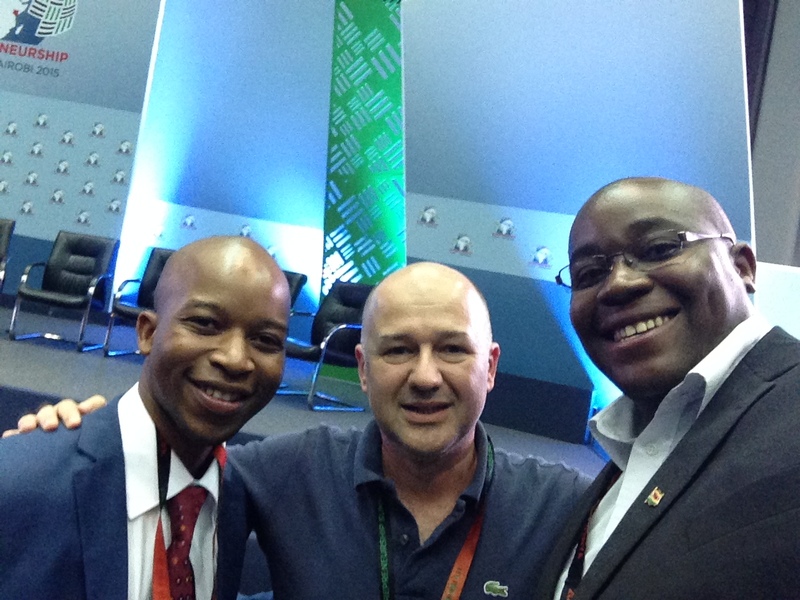 The new Africa angel network is a huge opportunity for Africa. National business angel networks are important in attracting investment from abroad. Large corporations to train small companies, especially in mining. Increase flights among African countries. 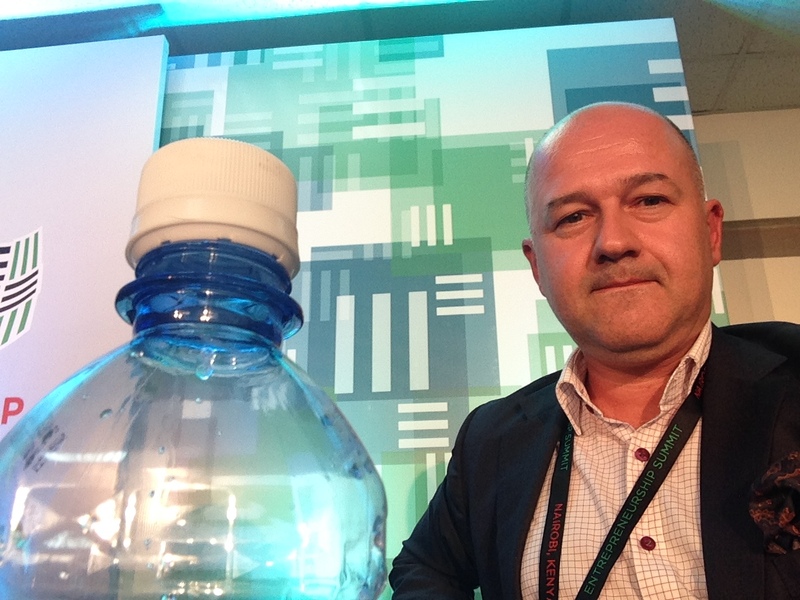 The European E-zone may be a good model for an African A-zone. Do we need 54 steel plants in Africa? Maybe not, but we need open borders for trade to happen across countries. Large corporations need to work with small businesses — Rio Tinto works with small local organizations to provide earth-moving services in their mining operations. Improve communication between African countries rather than focus on the West and East. “Invention” was important in the 60s, but today “Innovation” is critical. The world requires entrepreneurs to bring ideas to the market. There are many thinkers but very few take the ideas to the next level. Governments need to collaborate with business angels in order to get a bigger return on their seed money investments for small businesses. 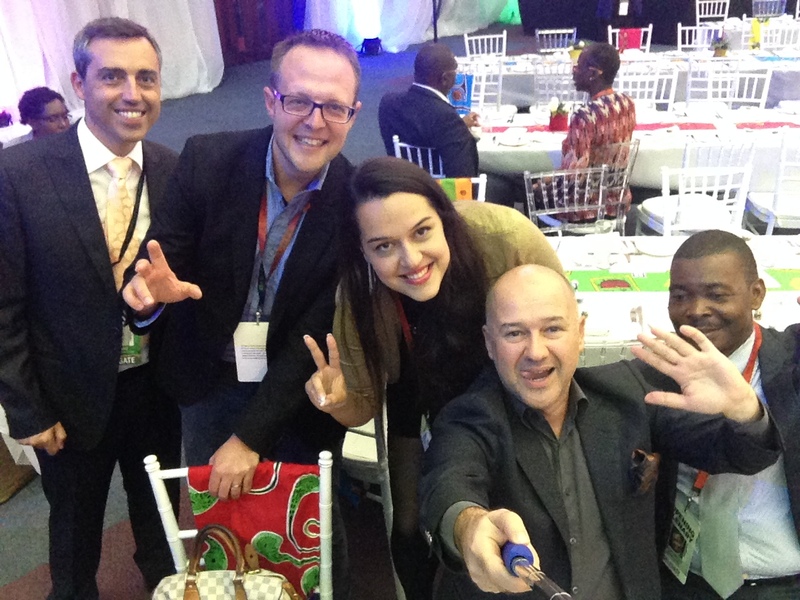 Angels are good for Africa too, and intra-regional angel networks are important. Resolved to undertake “Ease of Doing Business” assessment for countries in the region. During the discussion a US entrepreneur offered to donate a team of IT designers to support the analysis. 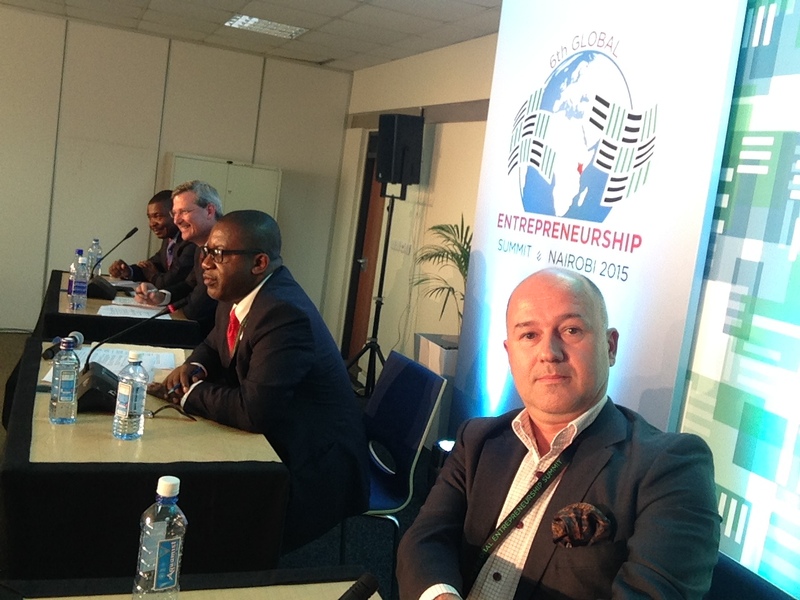 Africans need to invest in their own entrepreneurial projects. Focus on educating the West about Africa—tell the good story; talk to the positive. 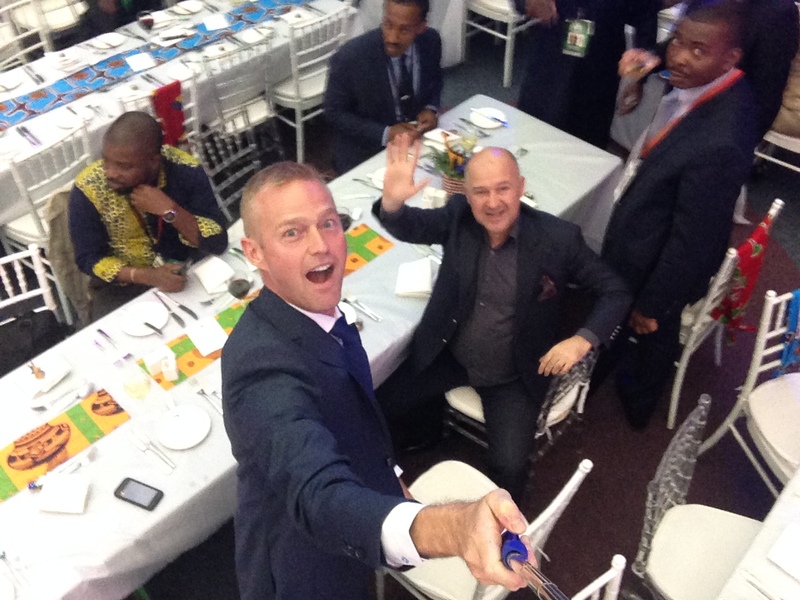 All the sessions ended by 5.30pm and then it was time to go to the reception of Jonathan Ortmans, the President of GEN (the Global Entrepreneurship Network). It was a lovely reception where I found excellent opportunities to meet many entrepreneurs and start-ups. Jonathan also introduced the winners of the start-up competition GEN had organised the day before. 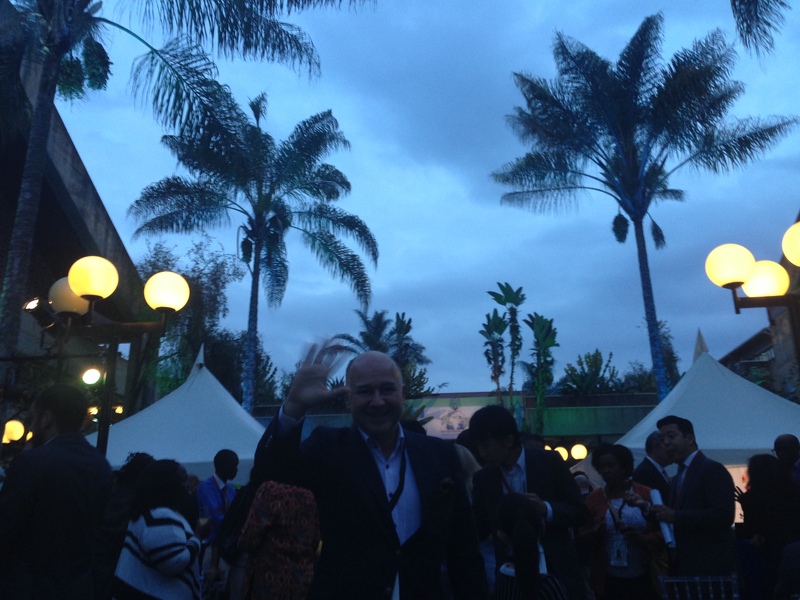 After this great networking event, we boarded the buses to our hotels at 11.30pm. My first activity at 9.30am was the GEN meeting with the national leaders of the Global Entrepreneurship Week upon the invitation of Buke Cuhadar, Vice President of GEN. It was a very productive meeting, where I met with national leaders from 25 countries. 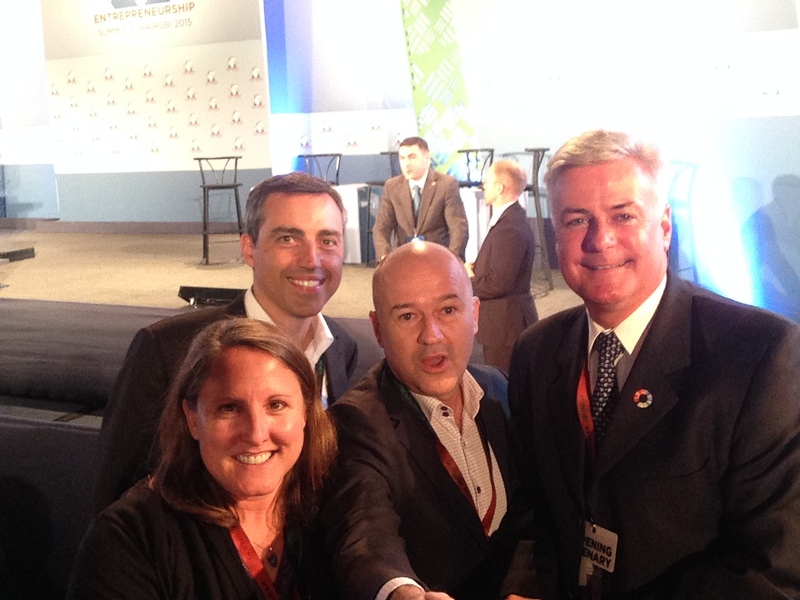 Another interesting panel was moderated the CEO of the Coca Cola Foundation. The day was full, with panel sessions with the participation of entrepreneurs from around the globe. I attended most of them by visiting one room after another. After listening to the closing speeches in the main hall, it was time to say good-bye to our new friends. But before leaving the room, I wanted to congratulate Harry Tomi Davies, the summit social media winner. The application that we downloaded gave points for each post about the summit, and Harry Tomi Davies, the ABAN President and President of the Lagos Angels became the social media king of the summit. So I offered him my heartiest congratulations. 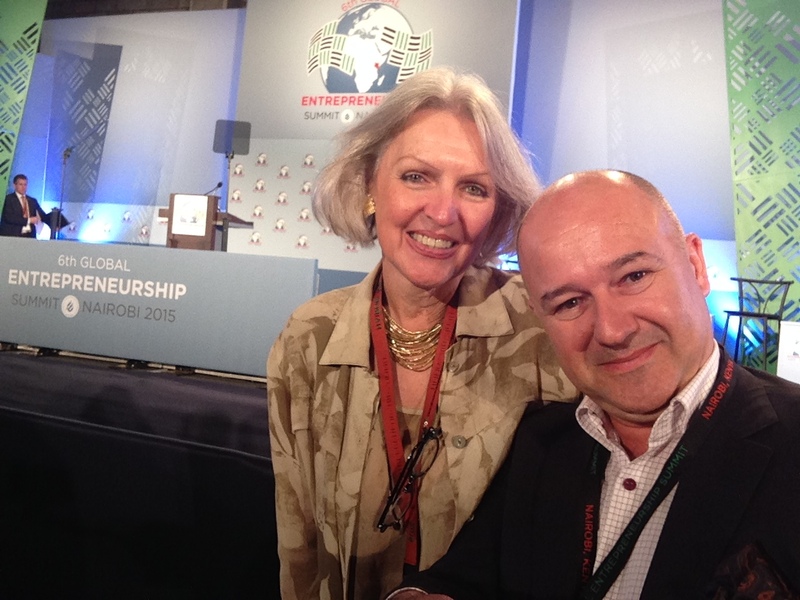 By 7pm, on our way to our hotel, EBAN President Candace Johnson, wanted to come with me to the hotel for a chat about upcoming events. So, from 7.30pm to 10pm, we chatted while waiting for Rasmus to come, as we wanted to go over the details of the EBAN Winter University to be held in Copenhagen. Unfortunately, Rasmus couldn’t come on time because of battery problems he experienced at the restaurant, so Candace left around 10pm. Then I went up my room to rest a bit because it had been an exhausting 3 days. I got up at 5am because everybody had advised me to leave the hotel by 5.30am to make sure I made my flight at 10.30am. 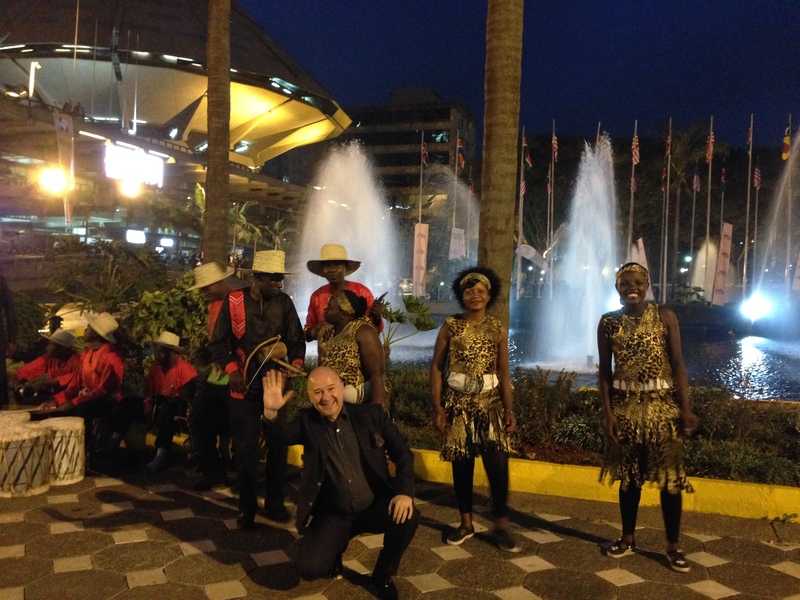 I thought it was a little bit exaggerated to leave the hotel five hours before the my scheduled departure time for a an airport that was only 30 minutes away, but on my way to the airport at 5.30am, I faced the Nairobi reality. What an incredible traffic jam there was! Thank God the airport was on the opposite side of the city and the outgoing traffic was flowing. But the traffic coming into the city was incredible. Thousands of vehicles were waiting (not driving) on the road. I think there is something wrong with the road/traffic flow engineering of the city. Nevertheless, I was at the airport by 6.30am and waited for Turkish Airlines to open for check-in at 7.30am. This gave me an opportunity to chat with friends from Croatia and with a high school boy from Albania. They were all flying to their countries via Istanbul. I checked my bags through to New York because I was flying there to give a keynote speech at the JCI Global Partnership Summit. This time my flight was comfort class (a class between economy and business class on Turkish Airlines), but I had to fly to Istanbul ( 6.5 hours) in economy because this comfort class is available only between trans-oceanic flights from Istanbul. 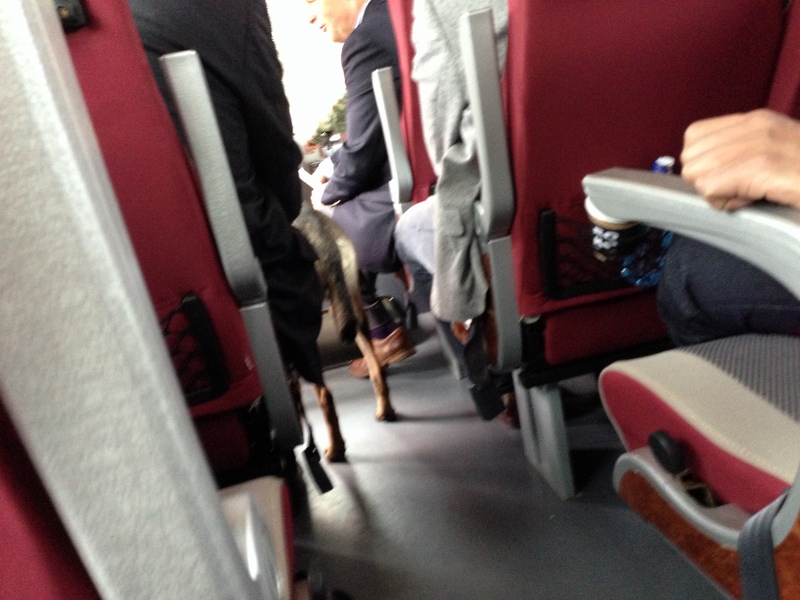 So if you make a comfort-class reservation with Turkish Airlines, you need to be careful about this point. Not all flights have a comfort class section. It was fine from Istanbul to New York in the comfort class (I think it is much better than business class if you enjoy wide seats) but it was a little bit of a disaster to fly in economy from Nairobi to Istanbul because it was 6.5 hours sitting in a very narrow seat. However, the flight itself was fine. The CIP Lounge at the Nairobi Airport is an ordinary one but it was particularly interesting to listen to the news on Kenya TV about the visit of the US President. I kept one of the daily papers of Kenya for a souvenir of this important visit. And then it was time to say good-bye to this lovely country — and to Kenyan coffee. I think Kenyan coffee is a serious competitor to the Turkish. It is lovely. Please try it! Thanks to Caryn and all the GES team for making this huge event an enjoyable one for all participants. 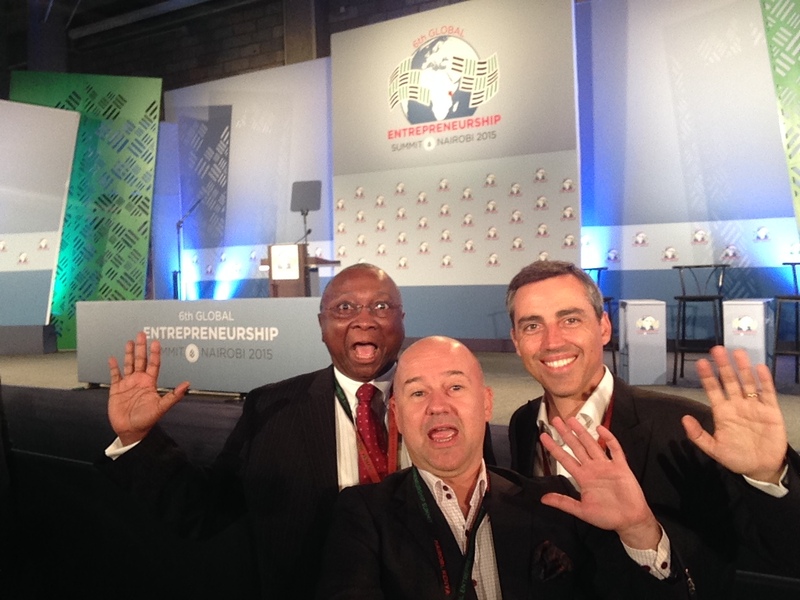 See you in South Africa for the 7th Global Entrepreneurship Summit in 2017….